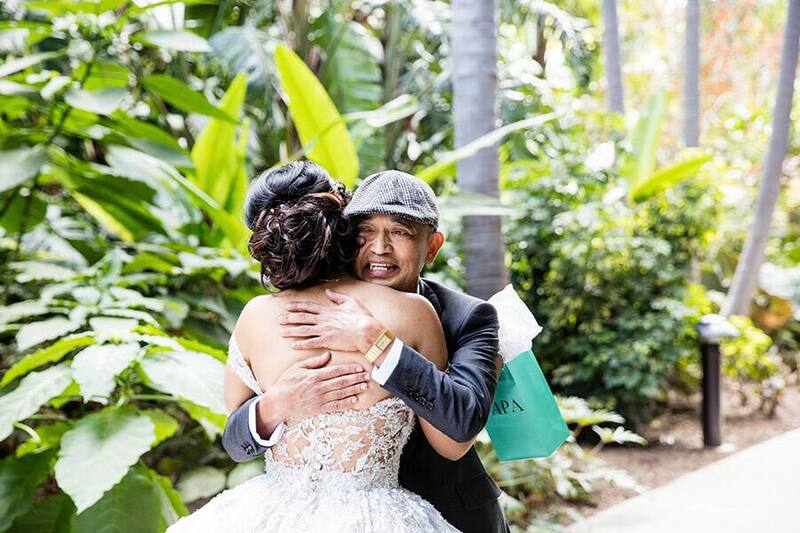 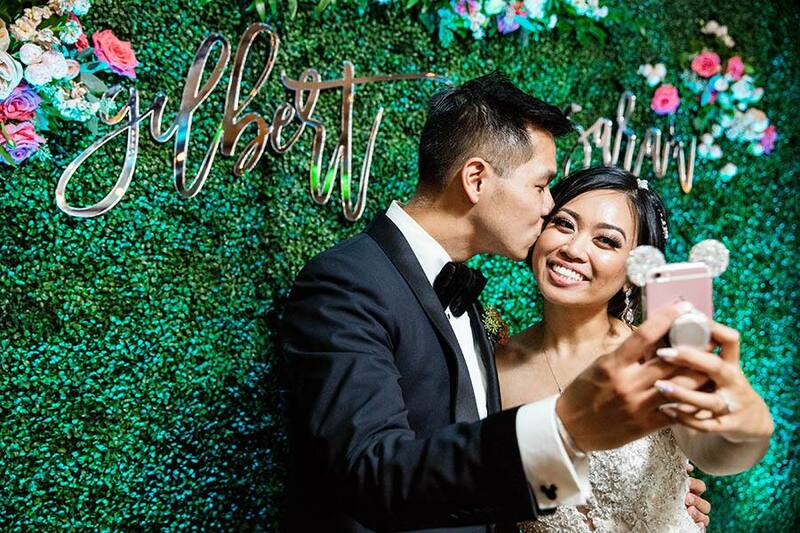 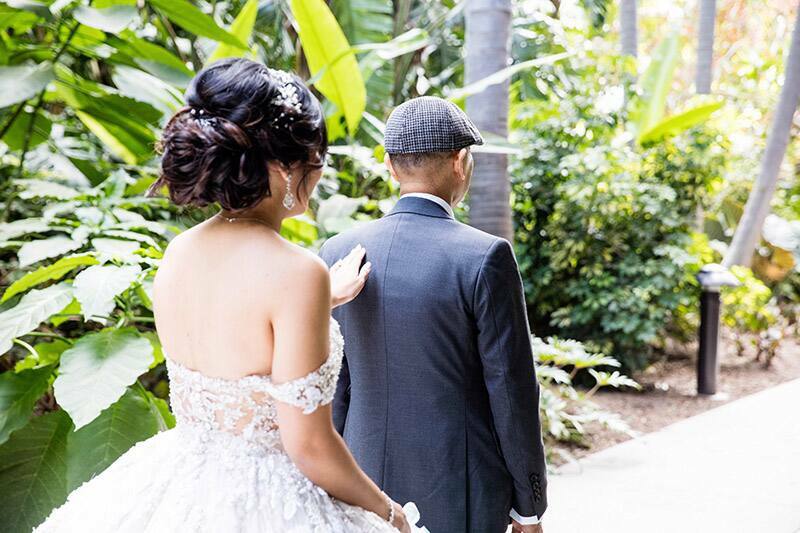 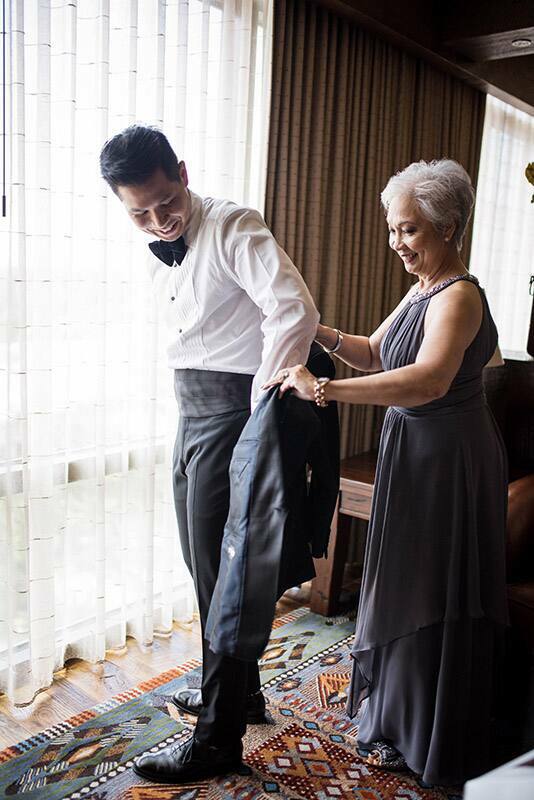 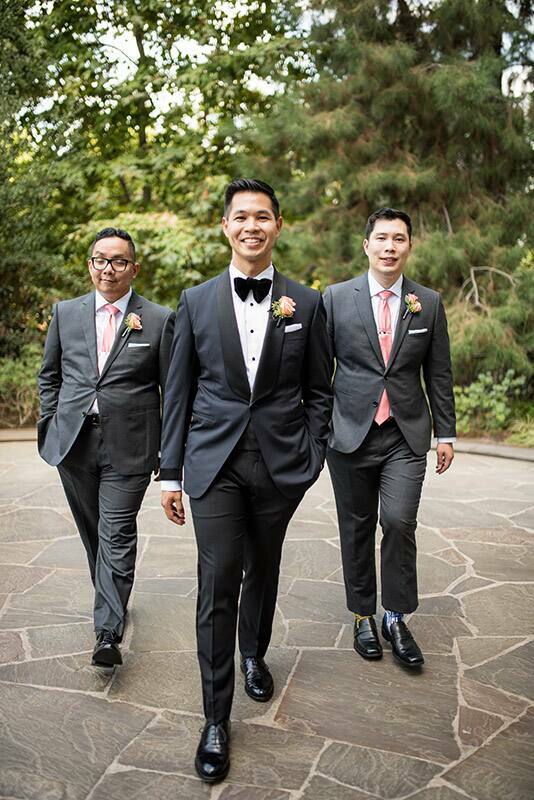 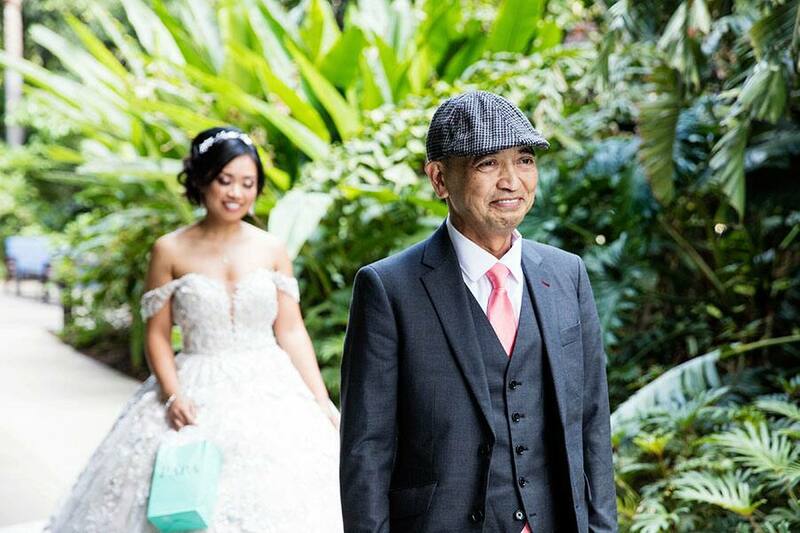 Gilbert and Sarah's love story is the definition of a fairy tale. 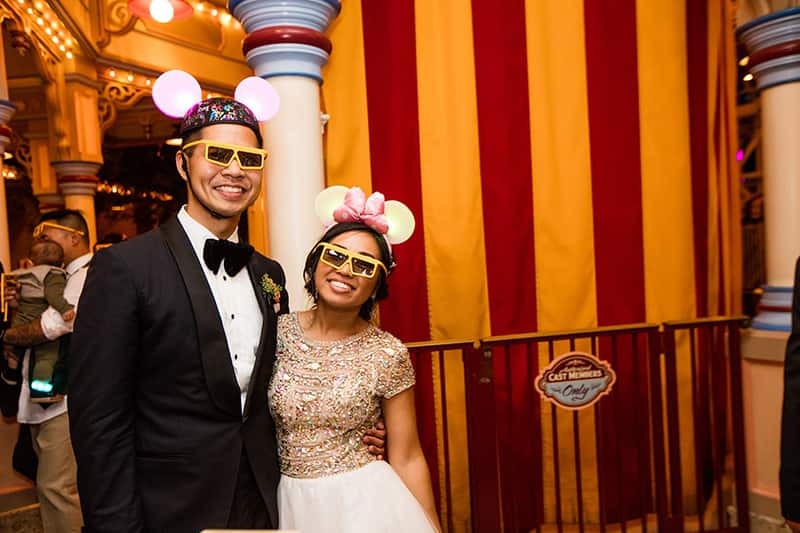 You might remember their engagement session from earlier this year! 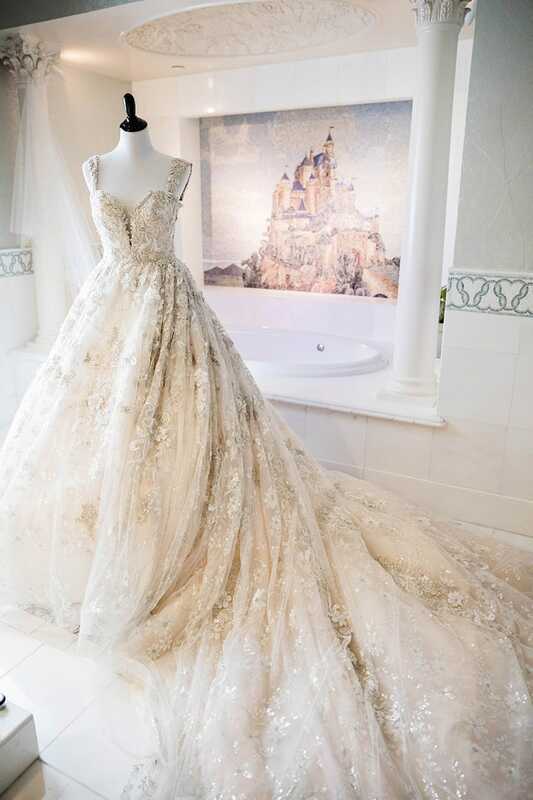 She had been dreaming of love at first sight, but little did she know the man of her dreams was right under her nose. 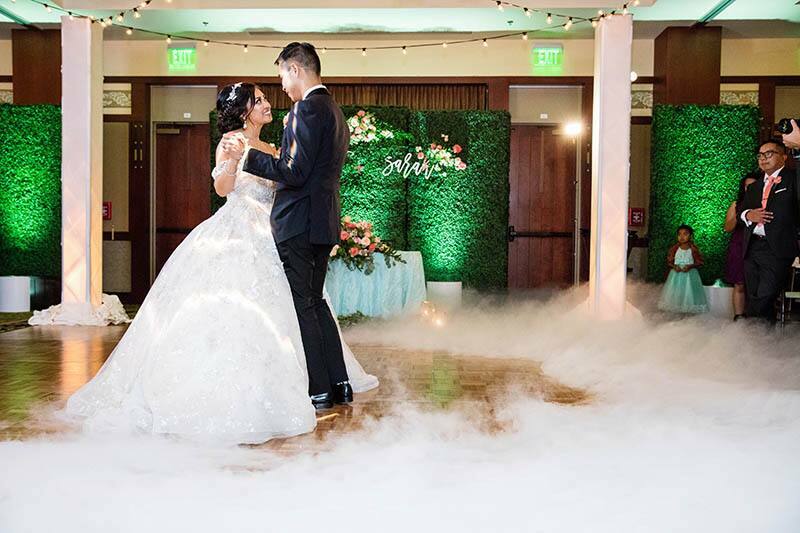 After meeting Gilbert, a senior at UC Berkeley, the first semester of her freshman year, the two would often bump into each other now and then, but nothing ever came of it. 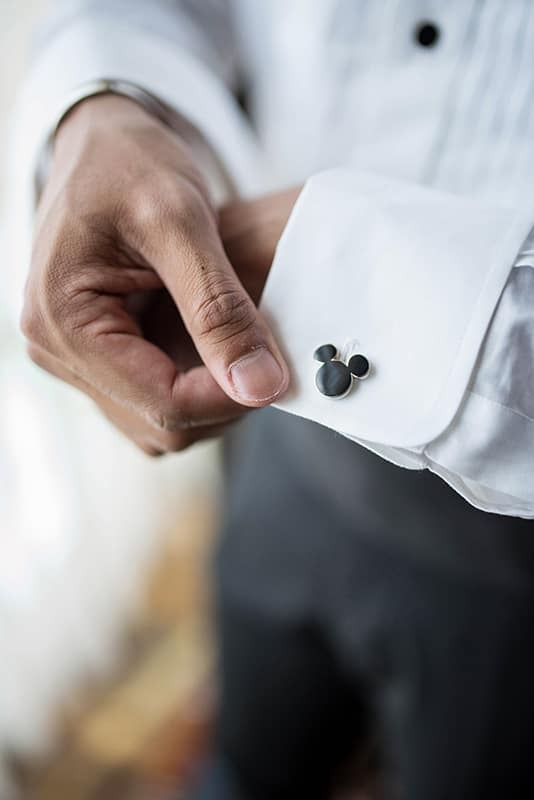 However, when he accepted a job on campus, their run-ins become more frequent. 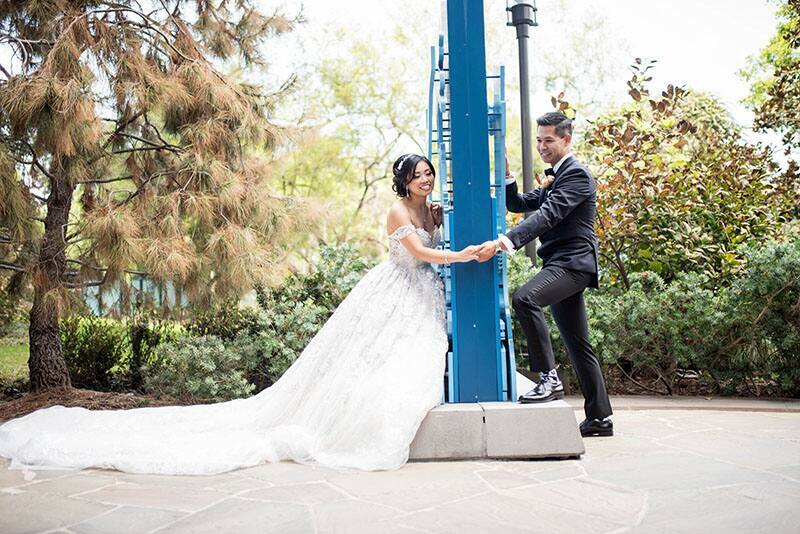 Eventually, the pair realized they were crazy about each other and began dating. 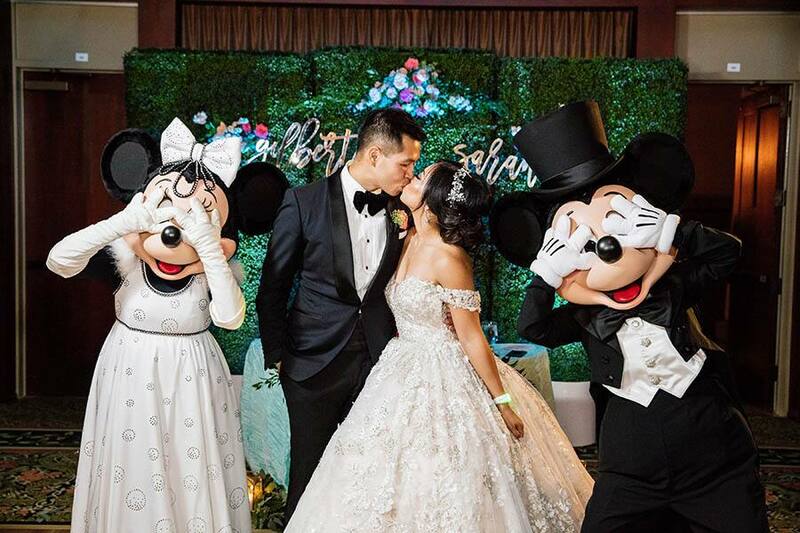 Sarah had imagined herself having a Disney's Fairy Tale Wedding long before she even began dating Gilbert. 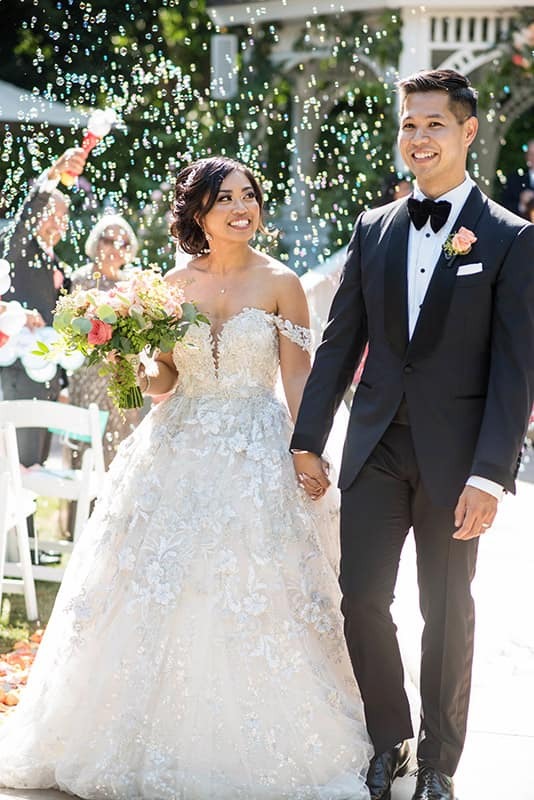 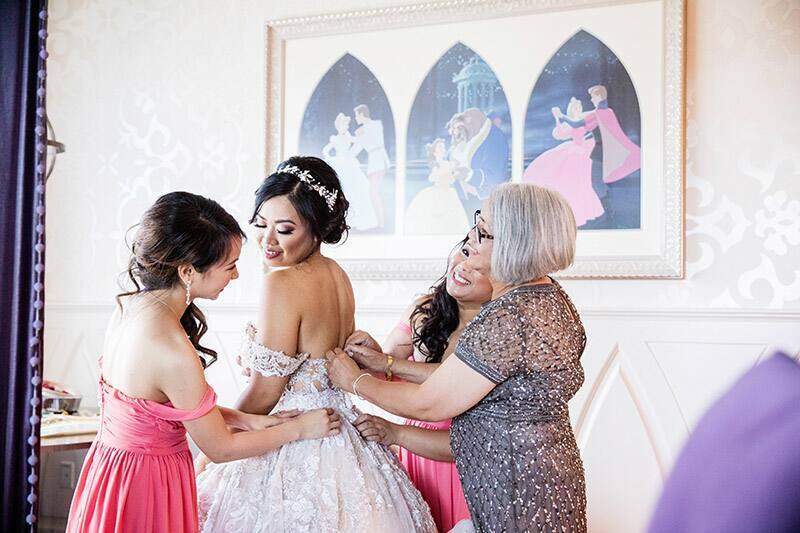 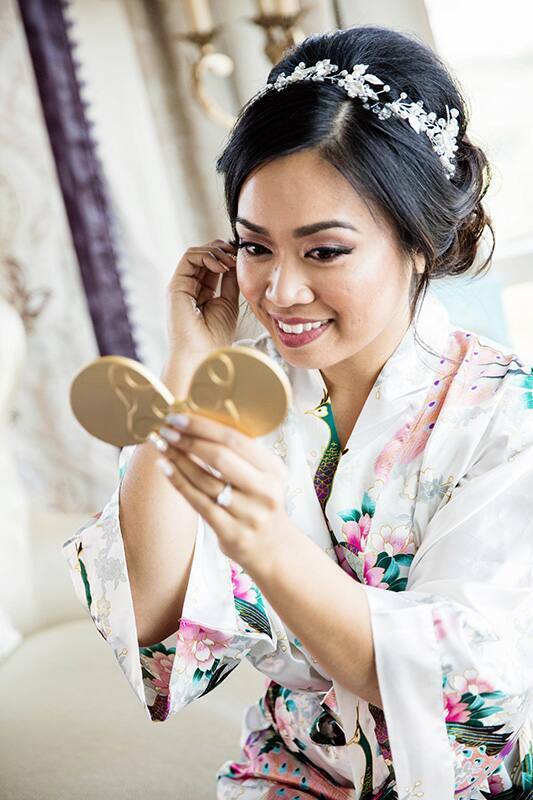 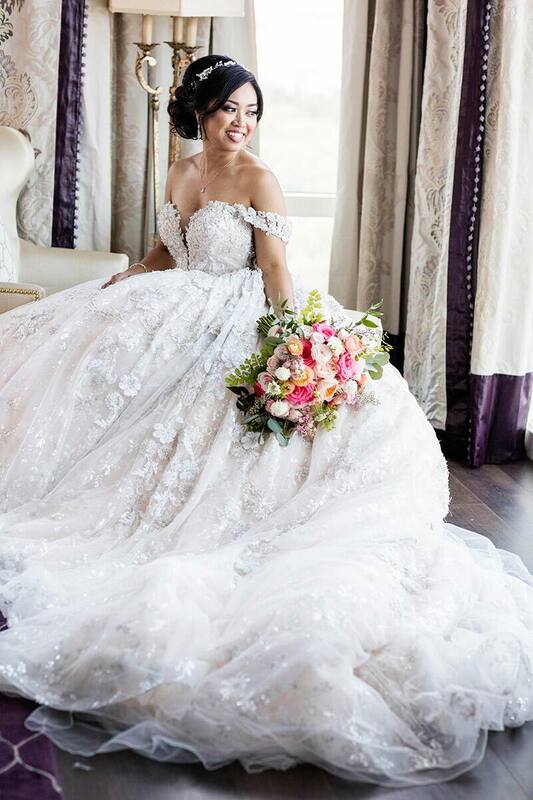 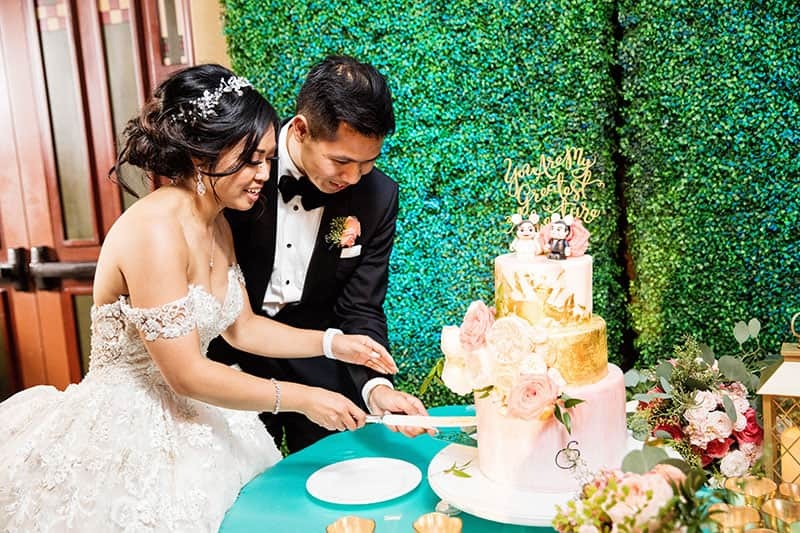 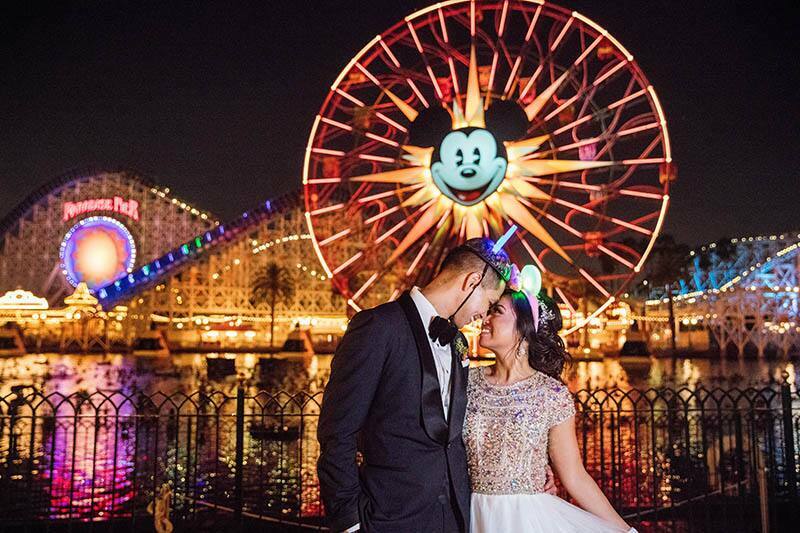 While taking a study break during college, she found herself on YouTube watching videos, and came across a Disneyland wedding video. 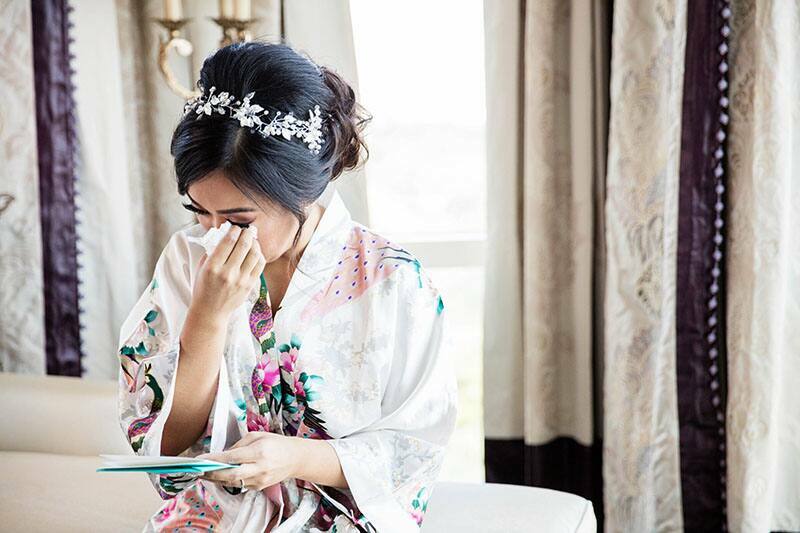 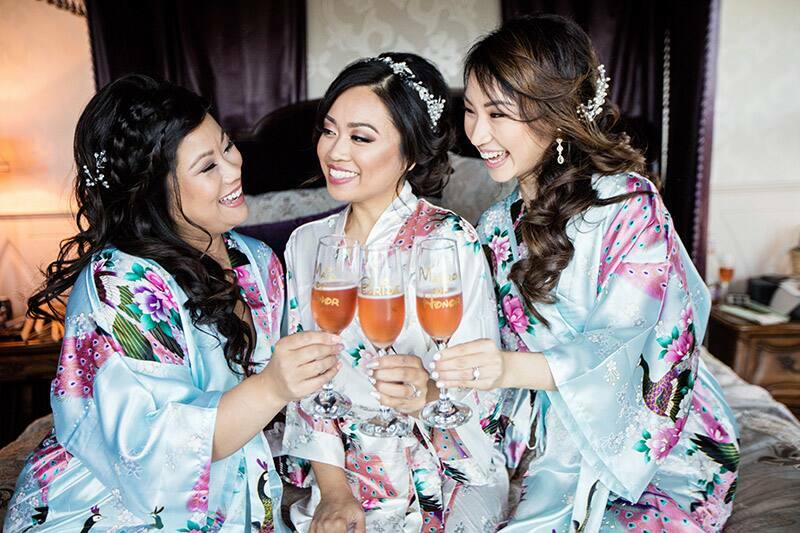 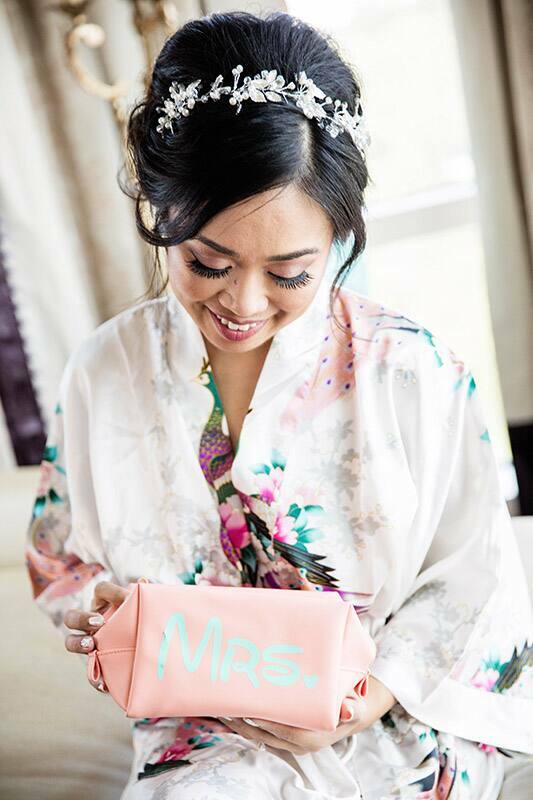 With puffy eyes from crying, she told her then roommate, who ended up being her matron of honor in the wedding, "That's it!" 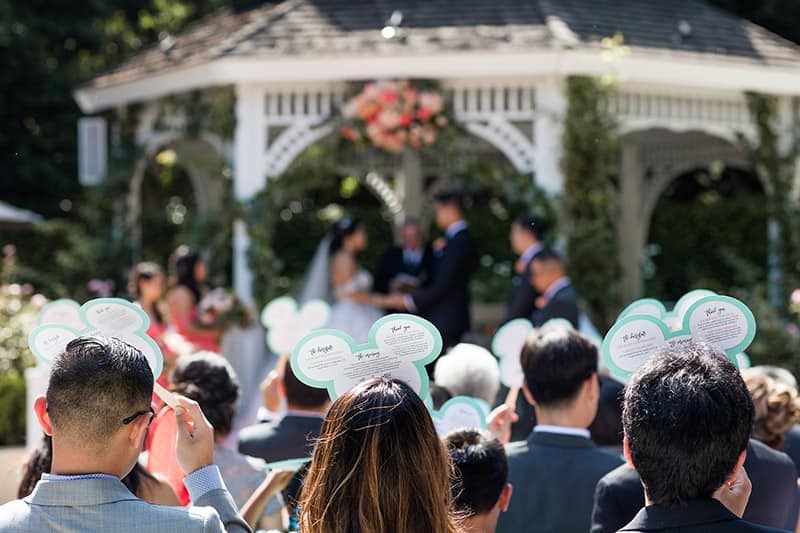 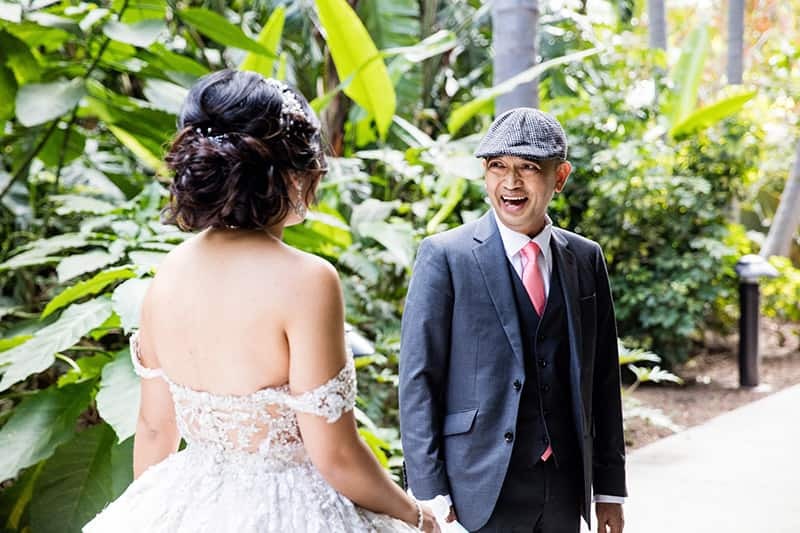 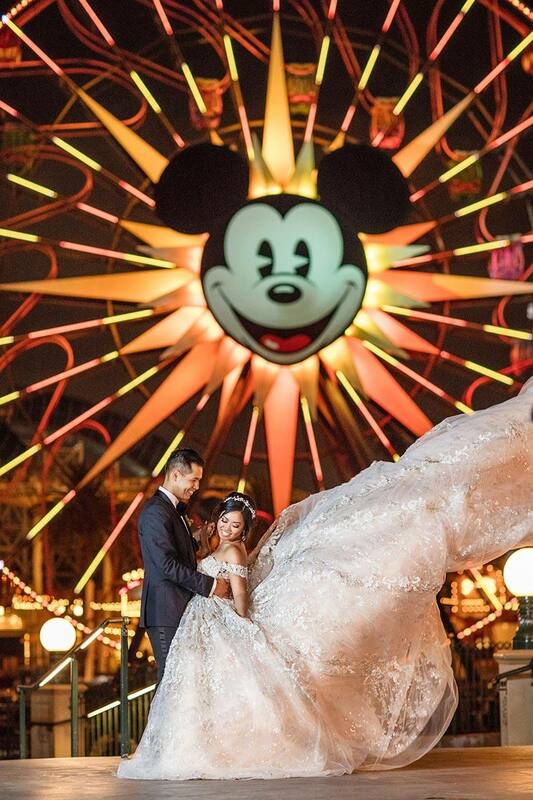 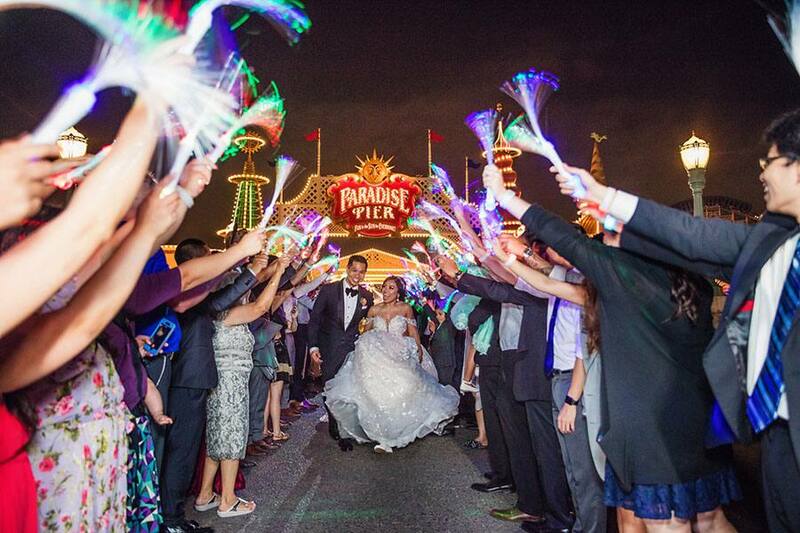 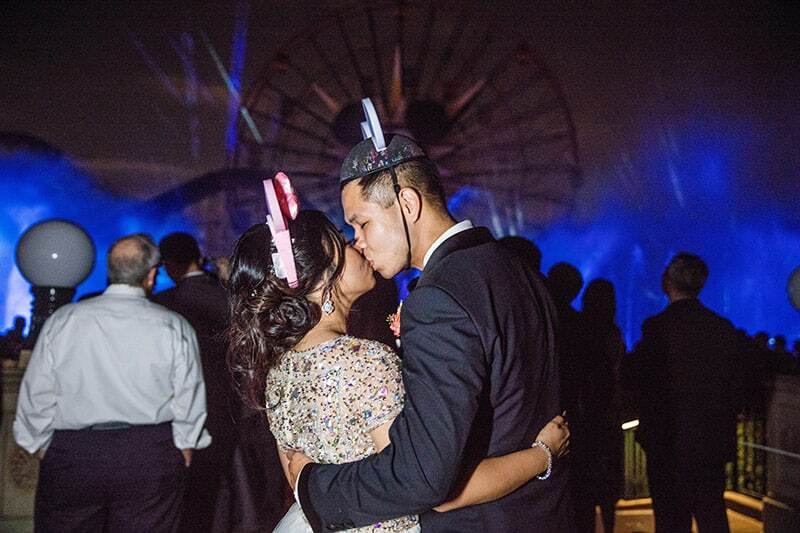 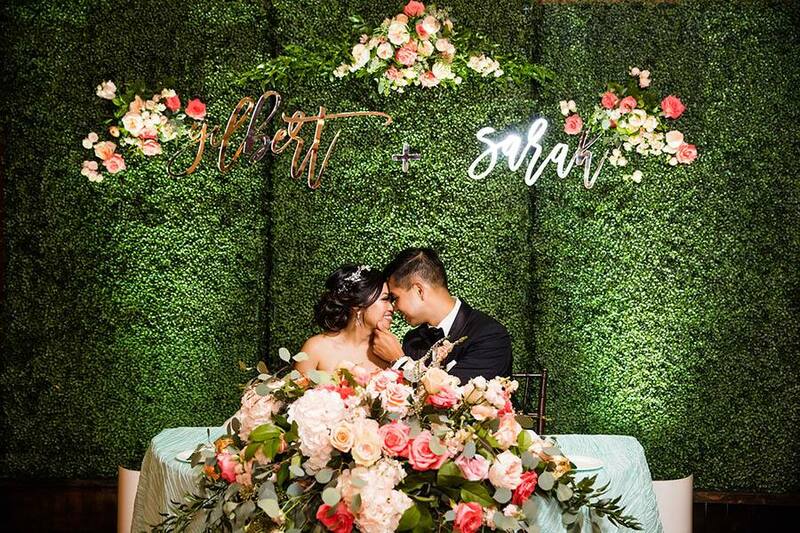 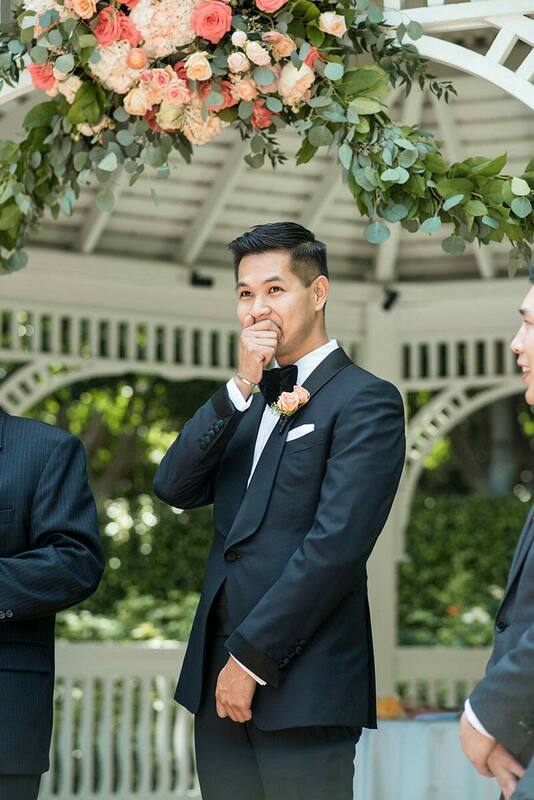 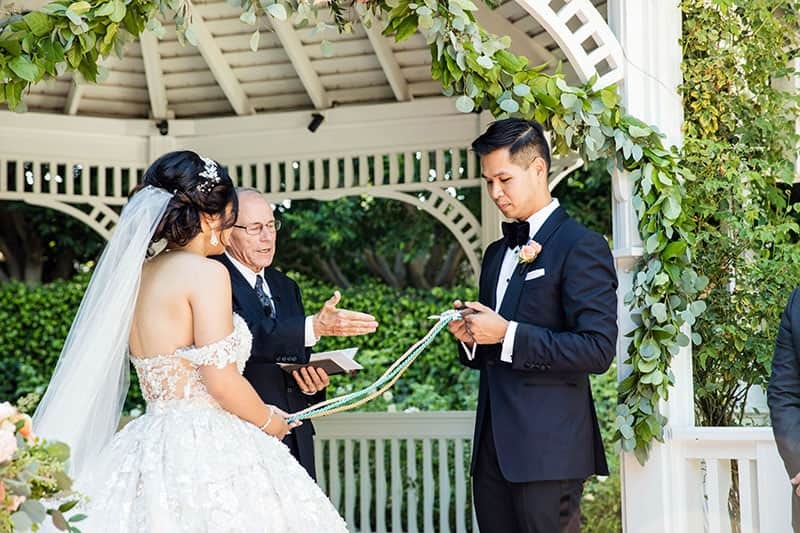 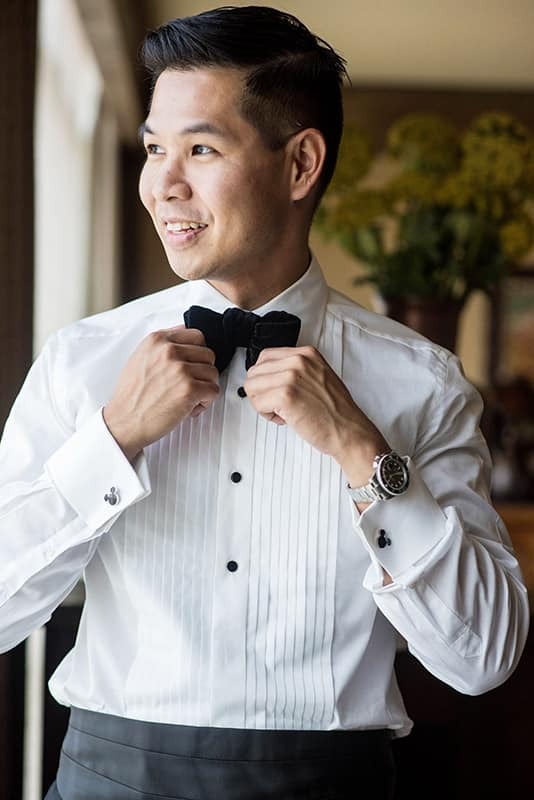 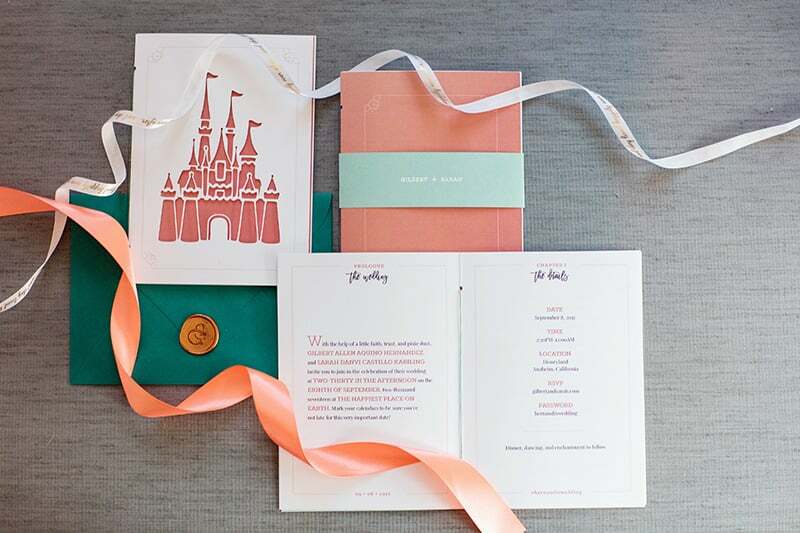 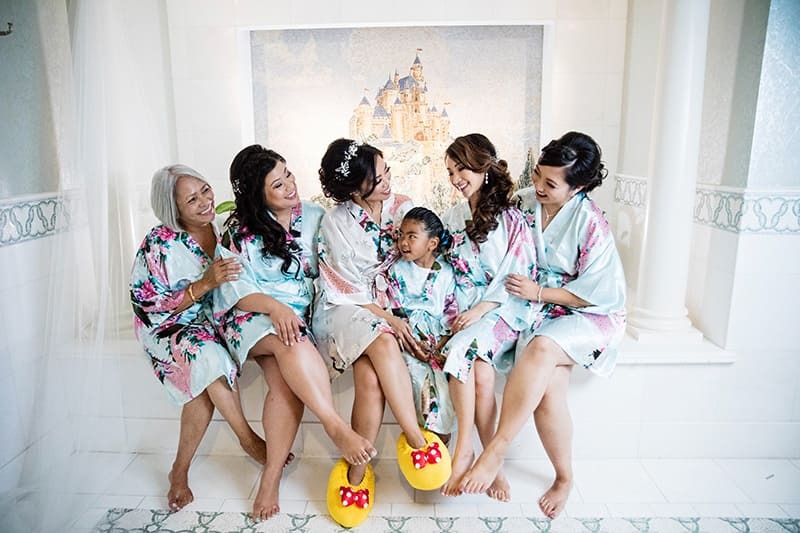 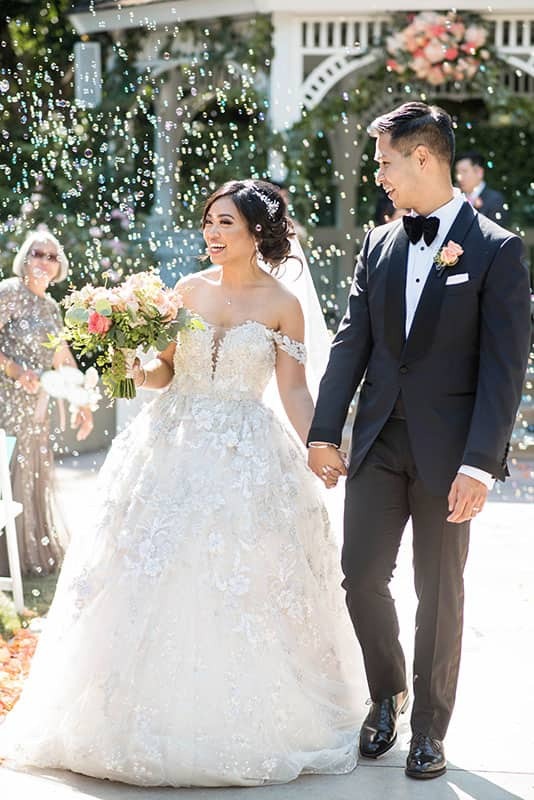 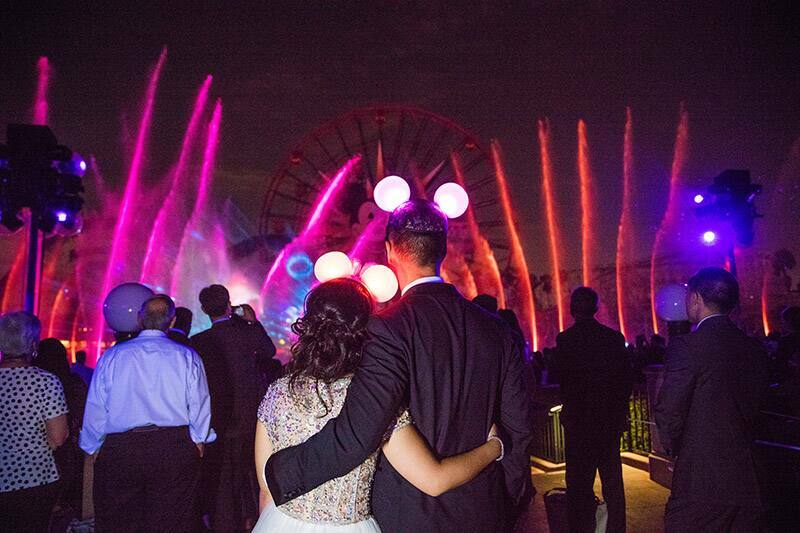 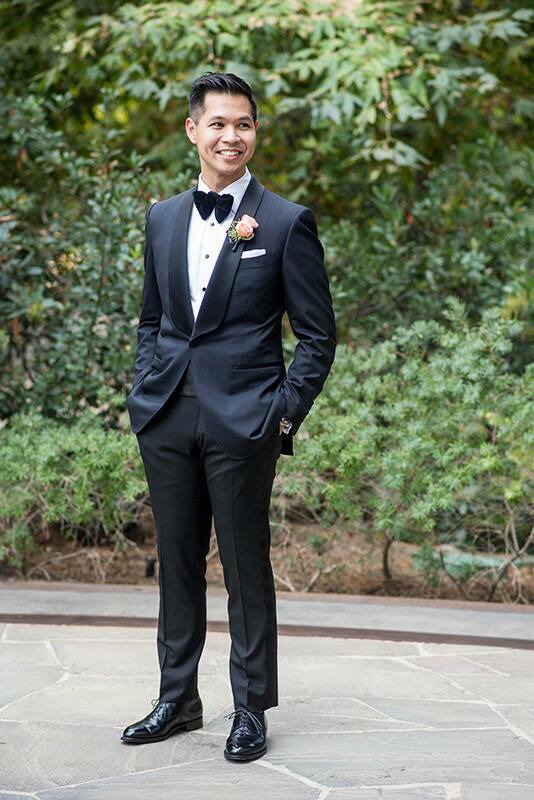 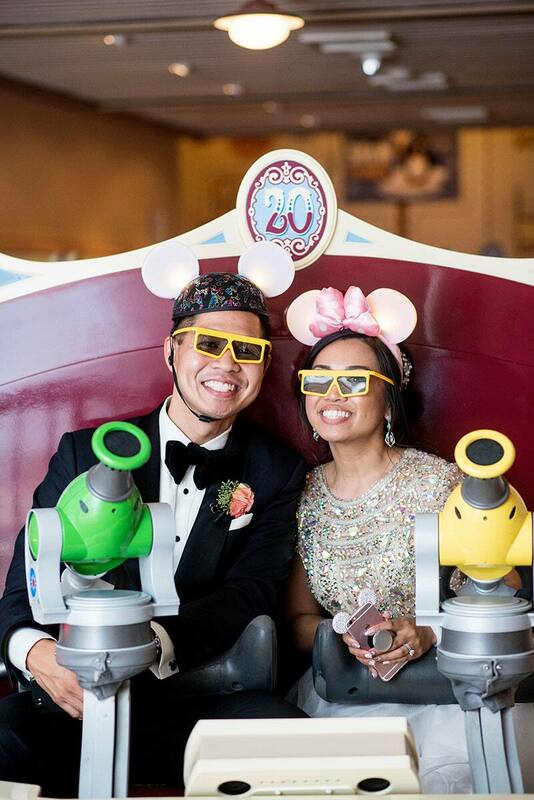 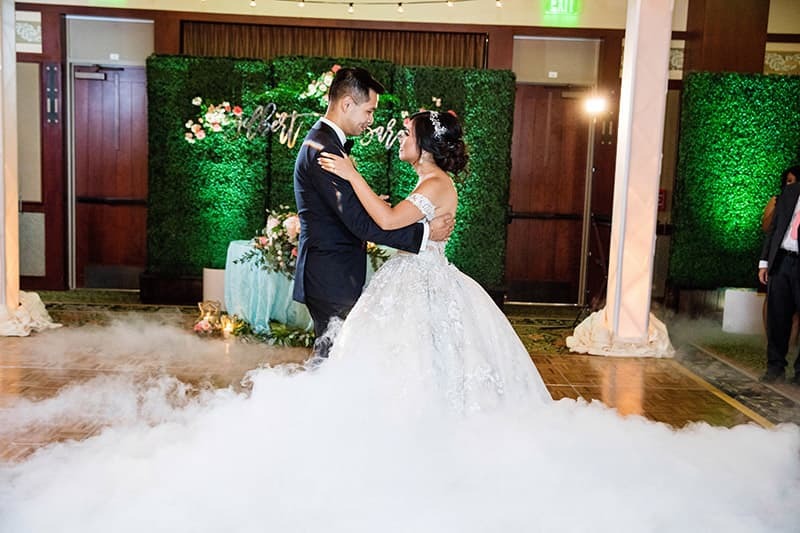 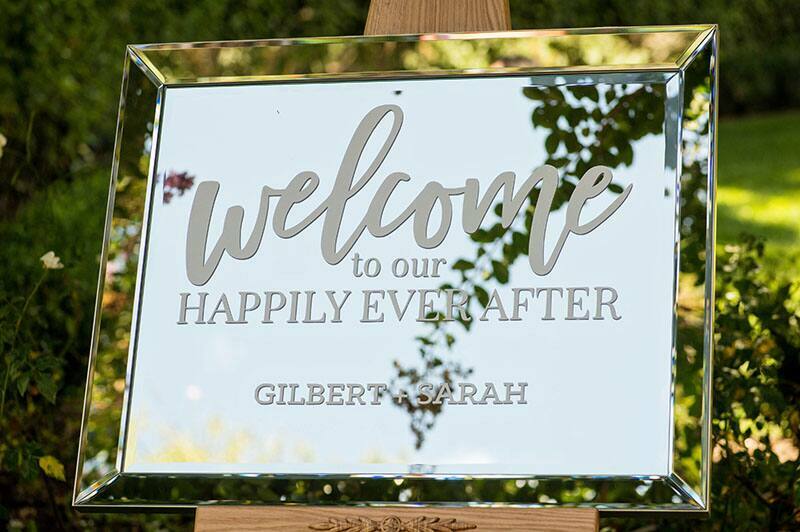 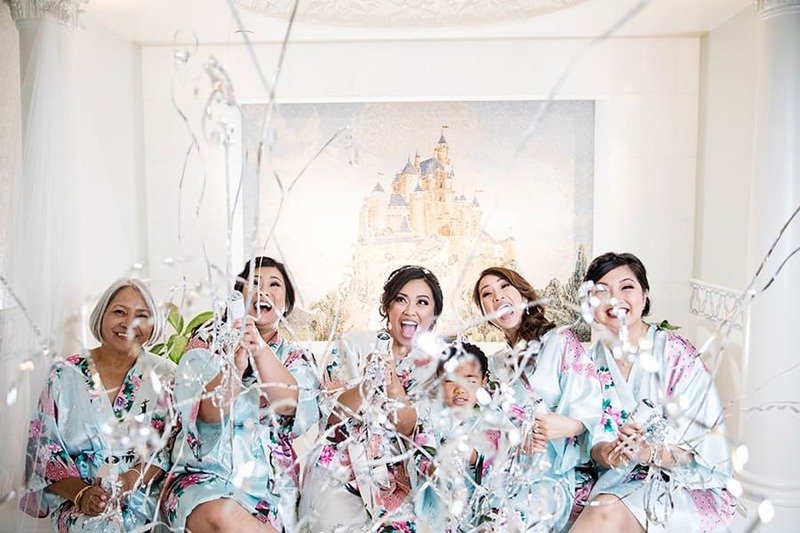 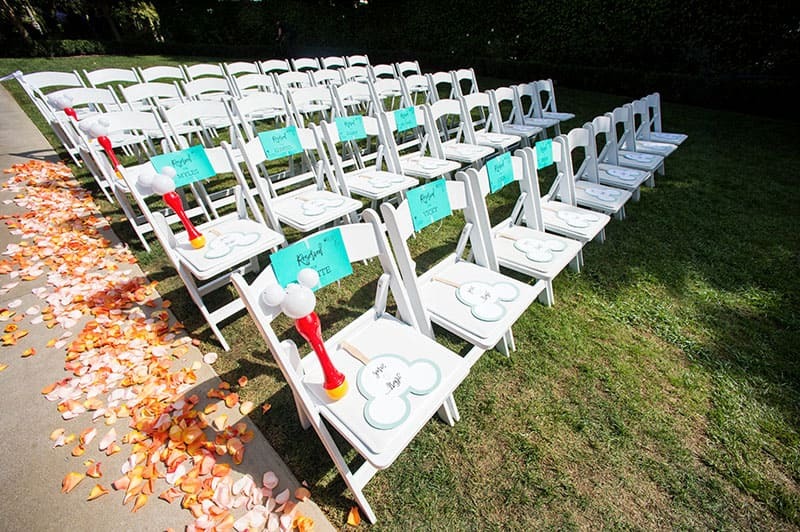 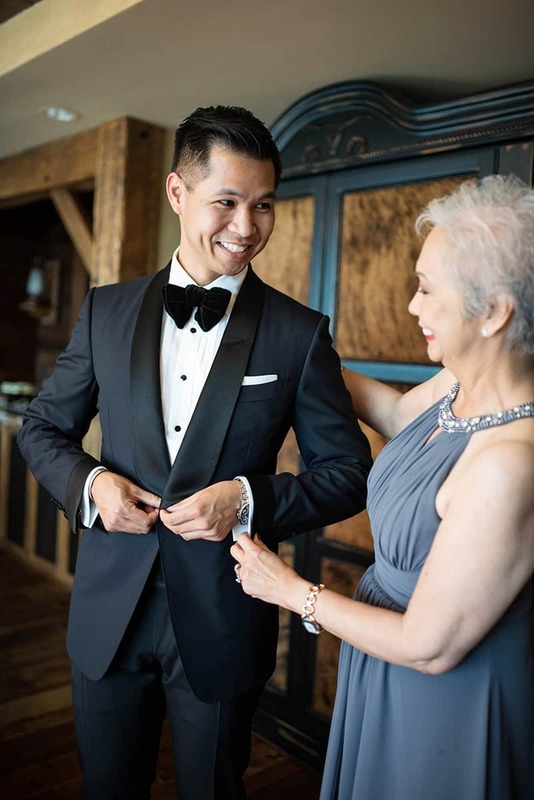 Luckily for Sarah, Gilbert too had a special place for Disney in his heart and wanted to share the "magic and wonder" the couple feels at the parks with their closest friends and family on their wedding day. 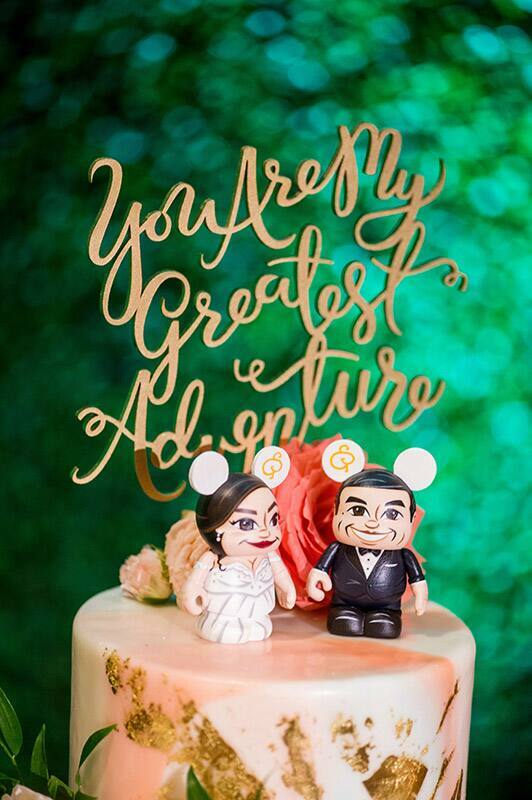 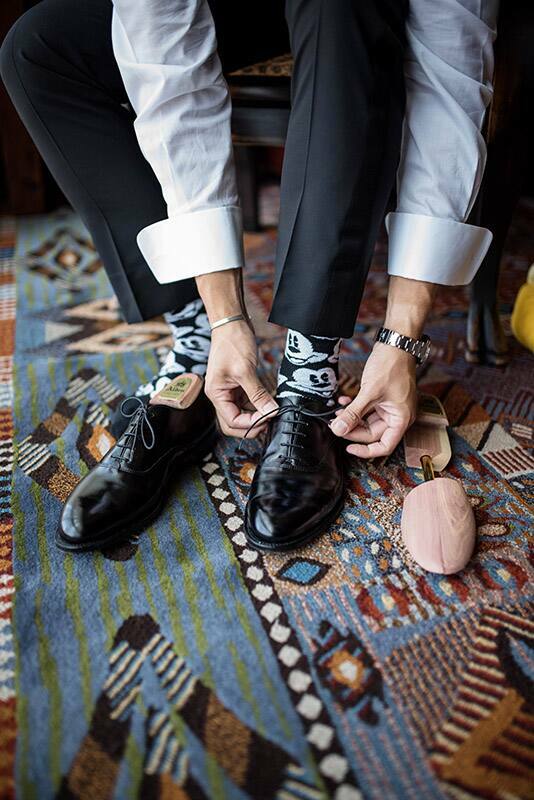 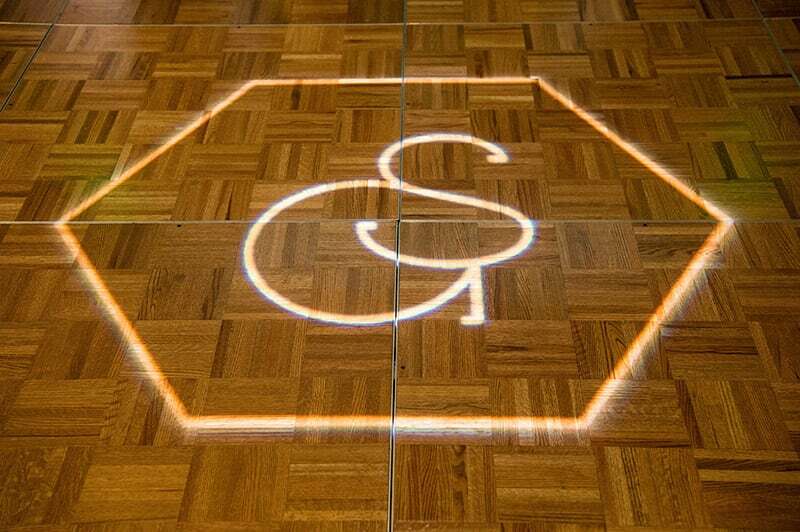 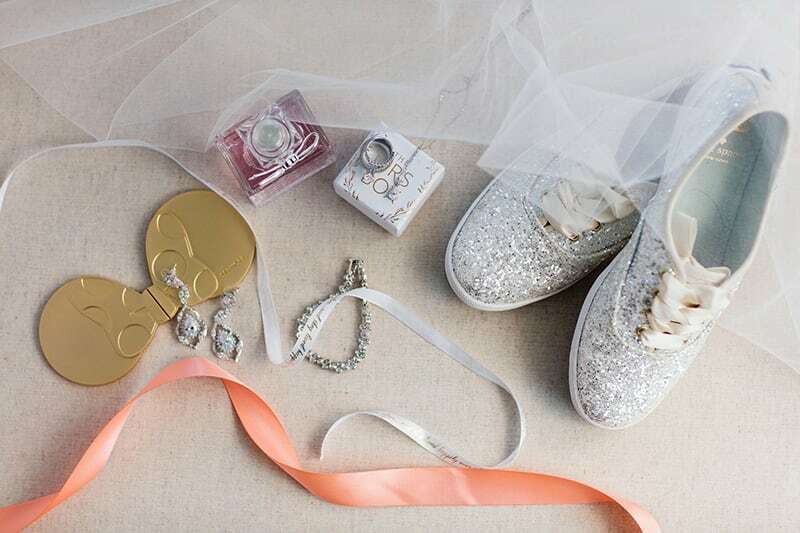 Sarah wanted a wedding that was unique, she described herself as "not a cookie cutter bride." 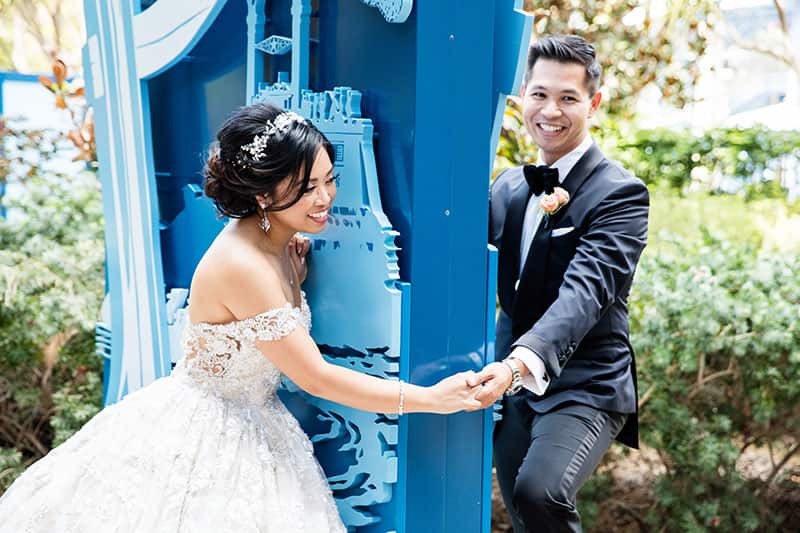 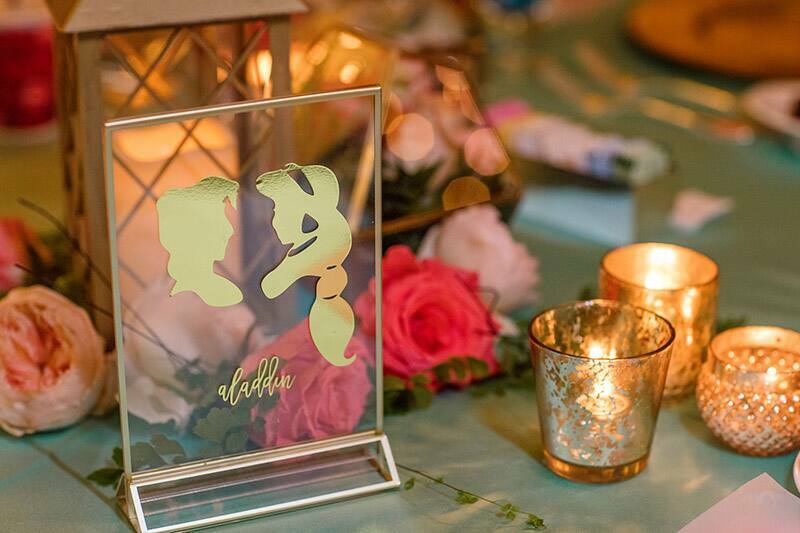 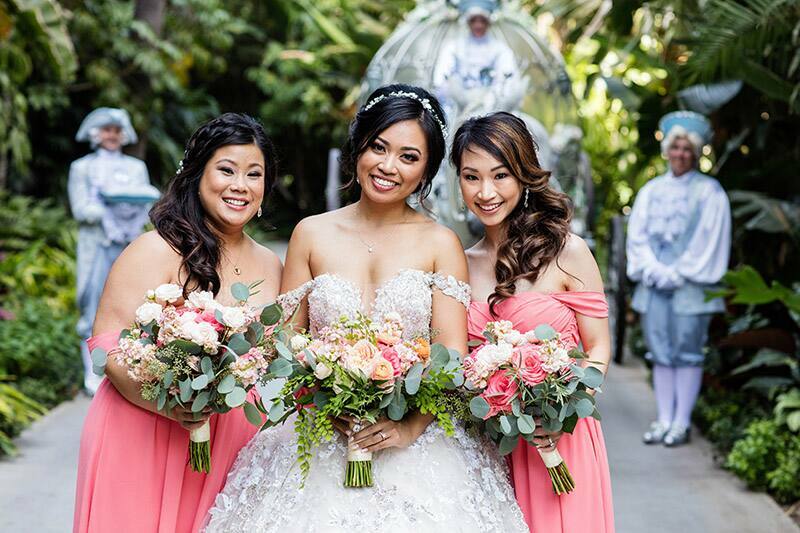 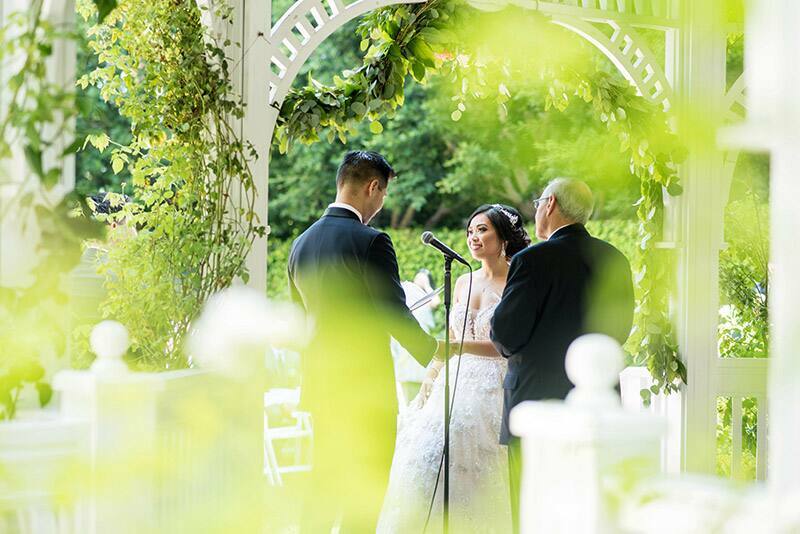 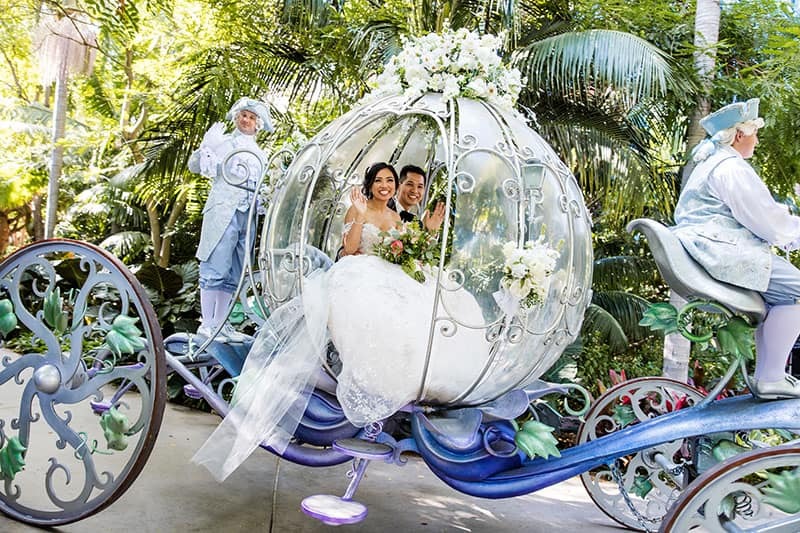 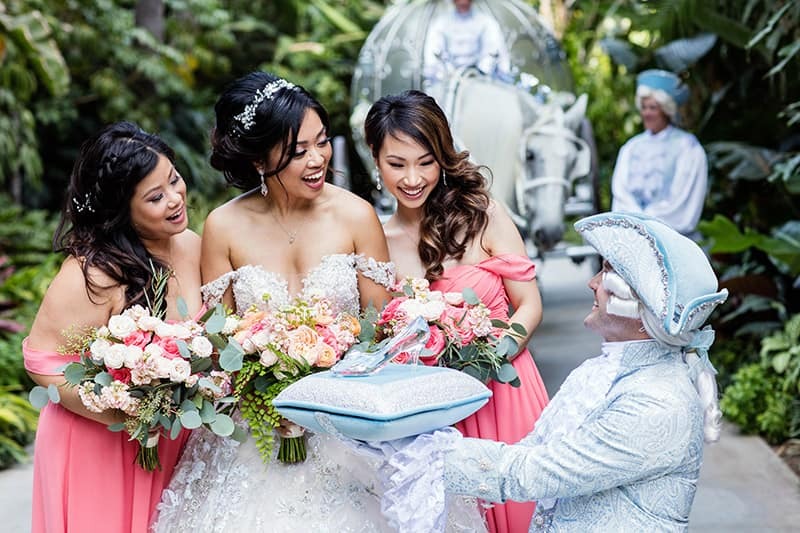 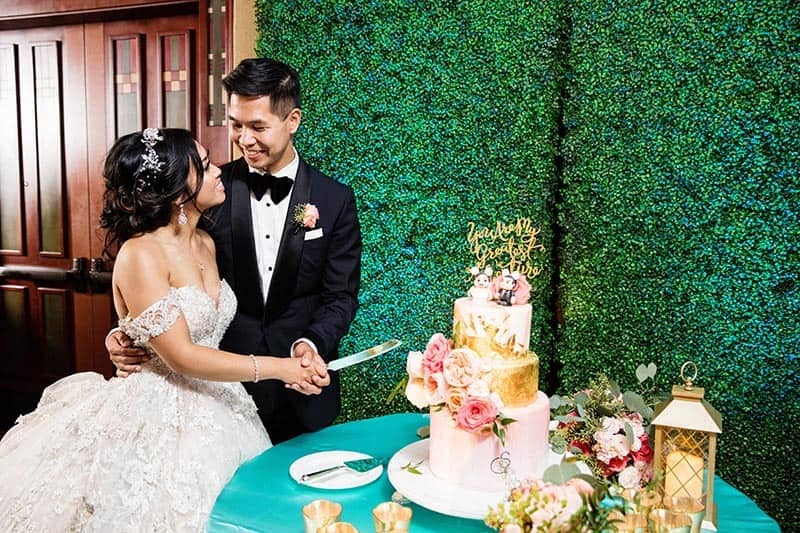 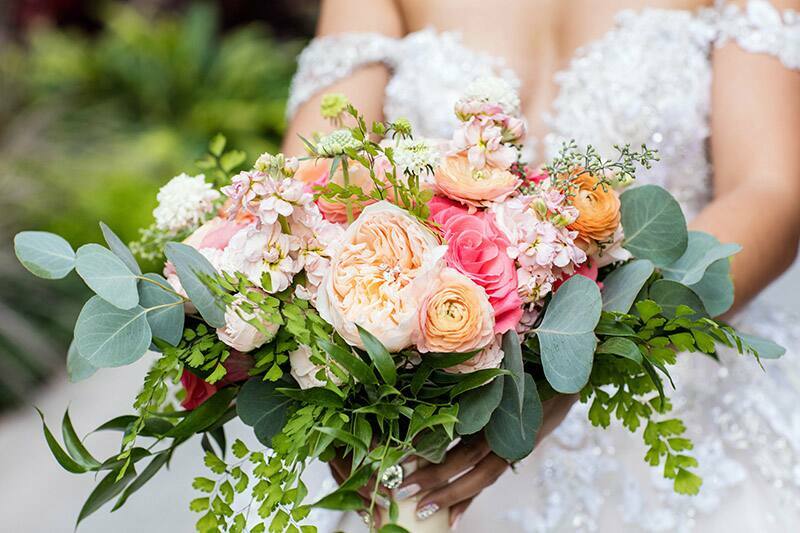 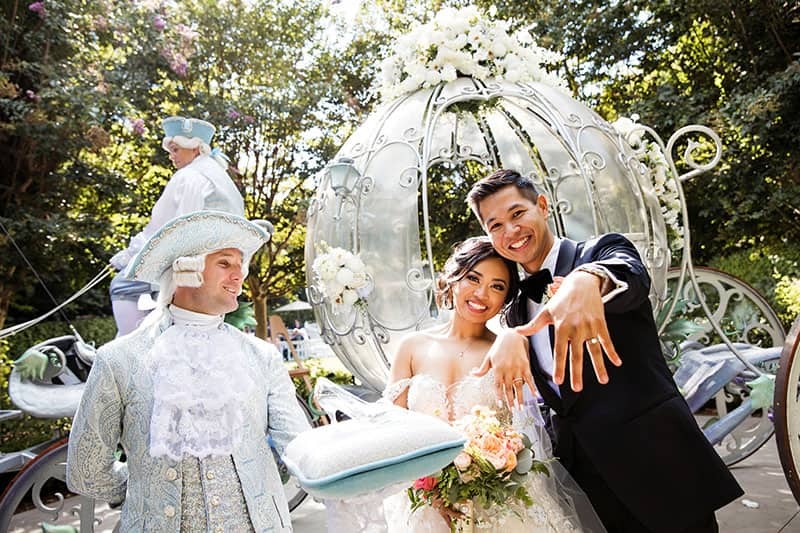 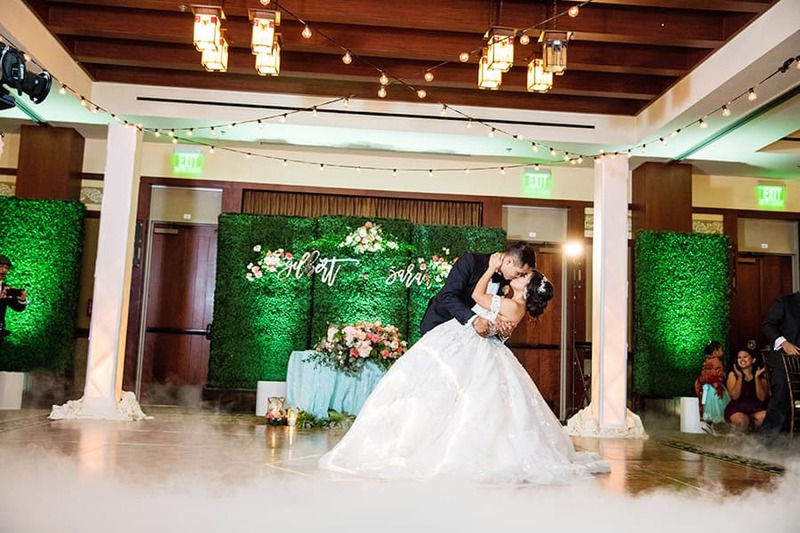 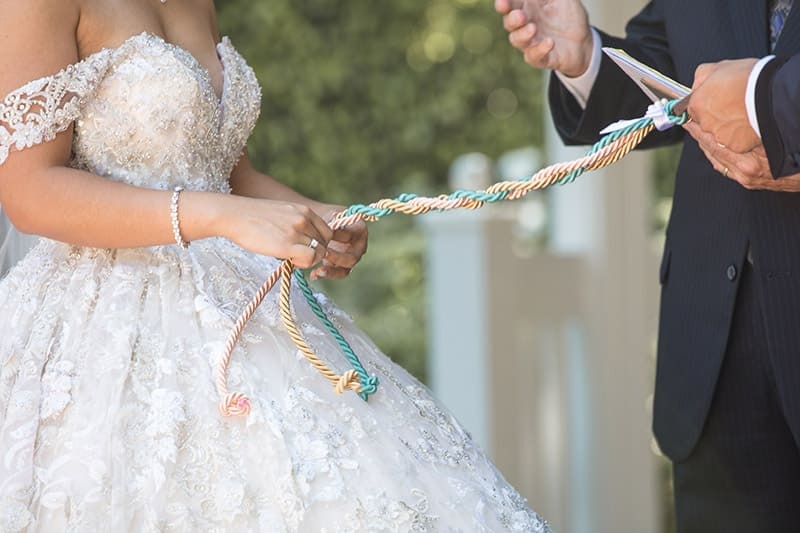 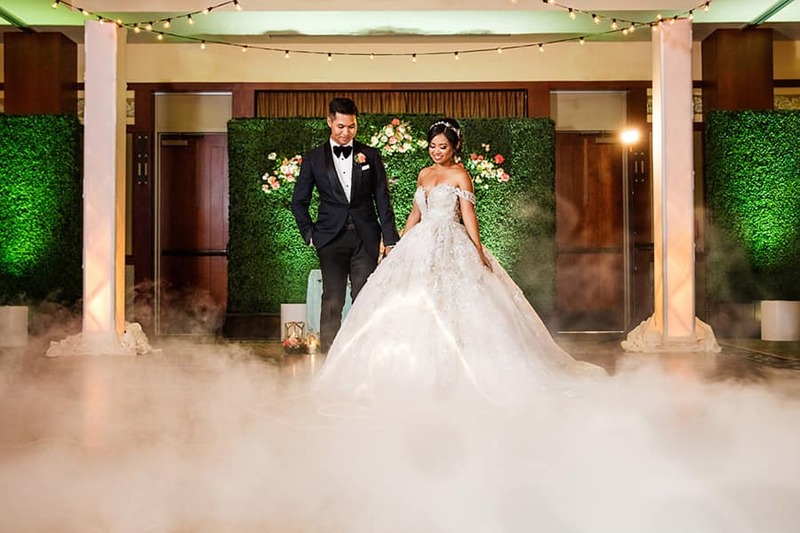 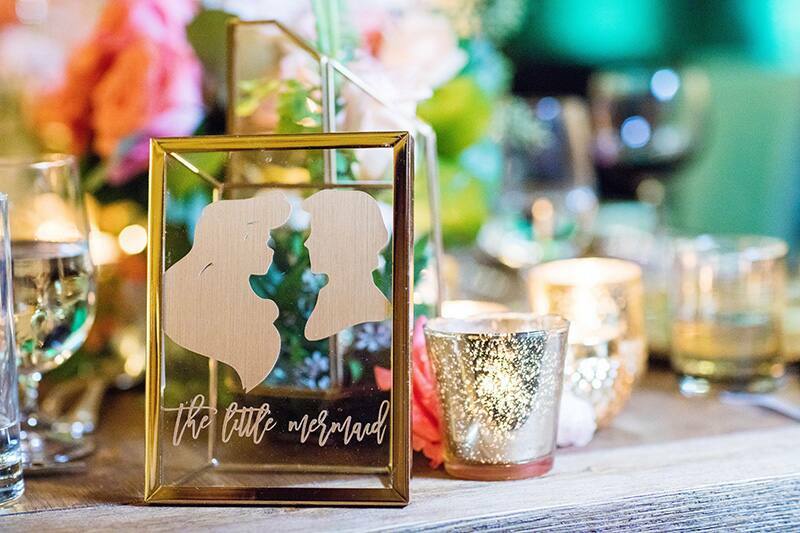 With the couple's vision in mind, their Disney Wedding planners brought their dreams to life for a truly exceptional wedding. 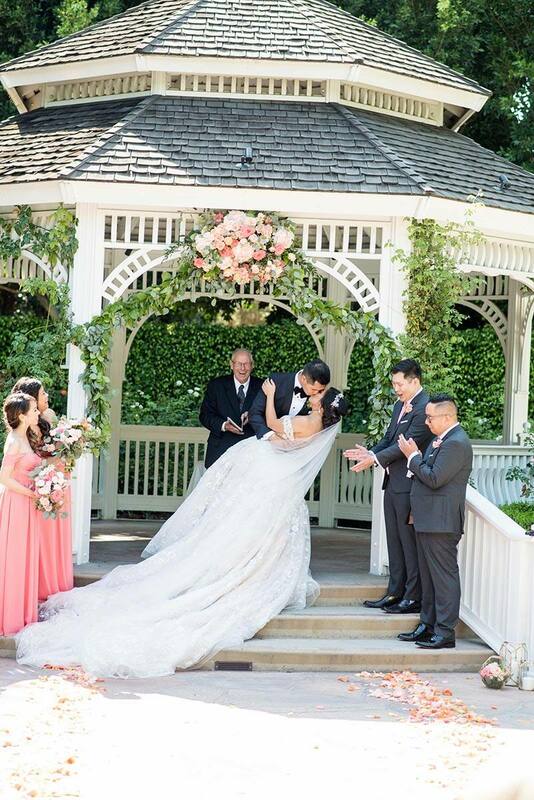 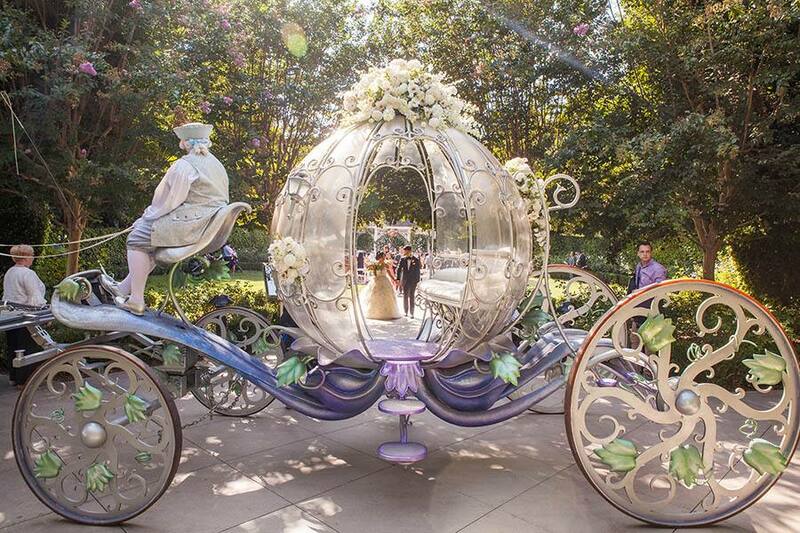 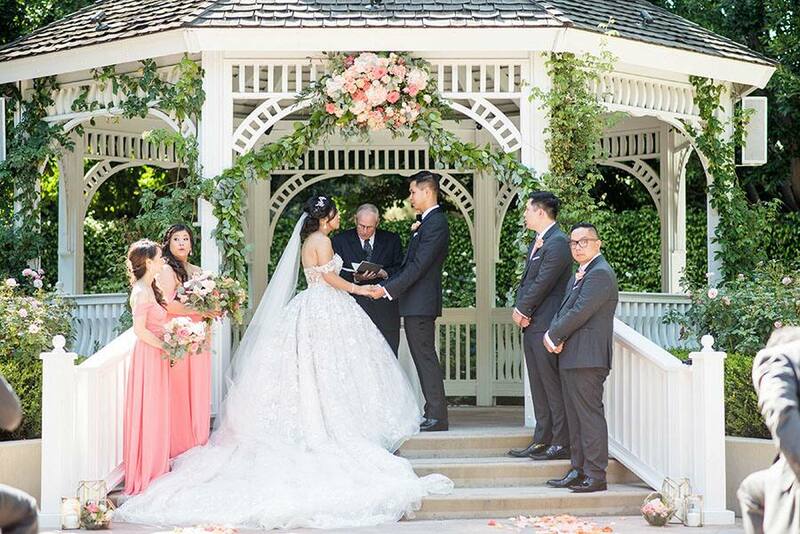 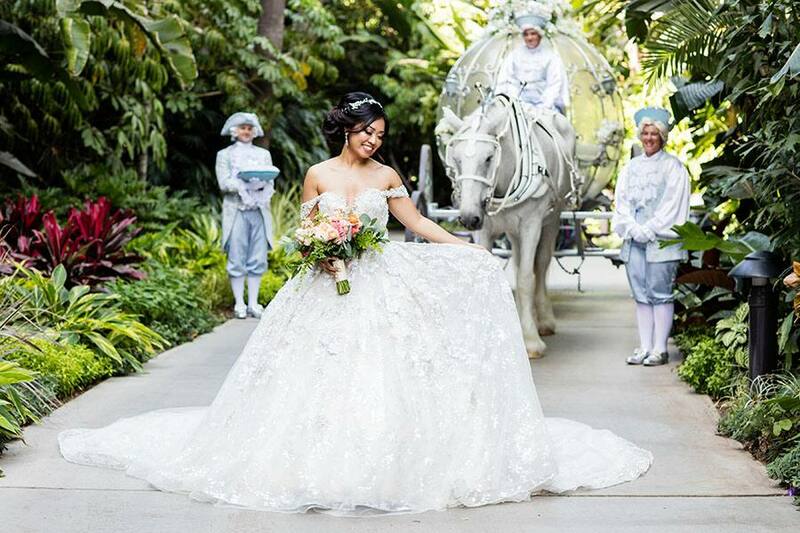 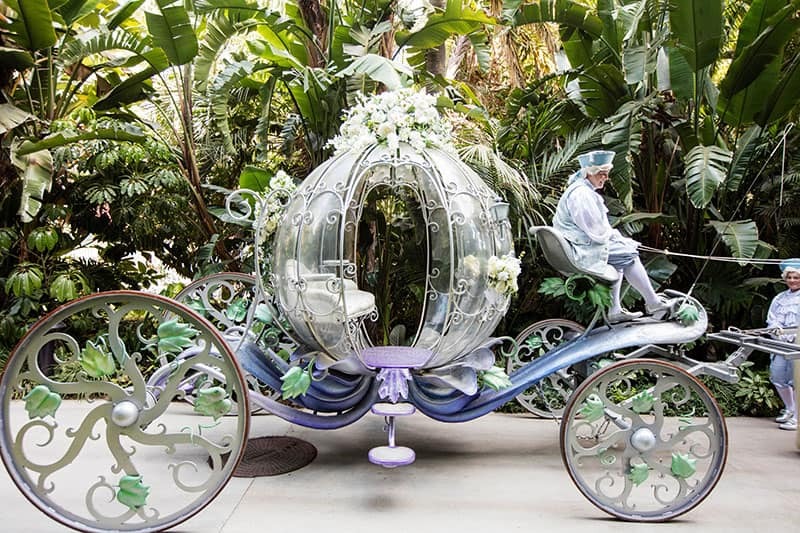 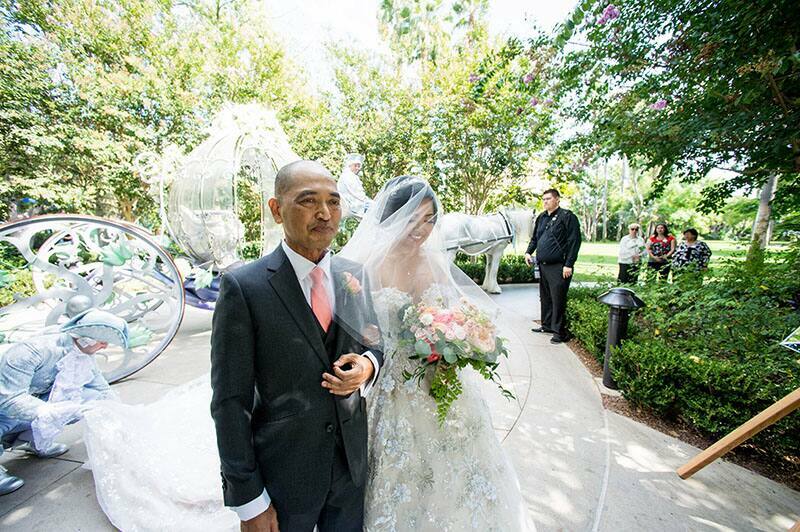 The bride wore a breathtaking dress and arrived to Rose Court Garden in Cinderella's Coach. 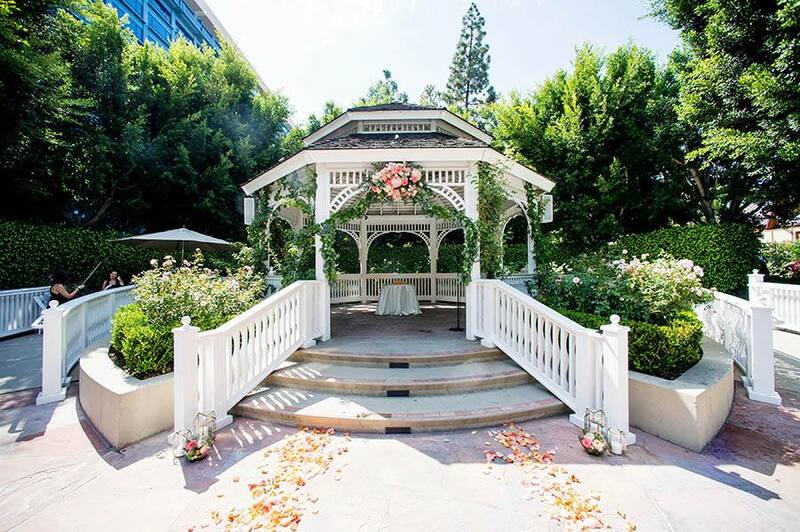 The venue was perfect - hidden among the beautiful rose bushes and decorated with fresh floral arrangements. 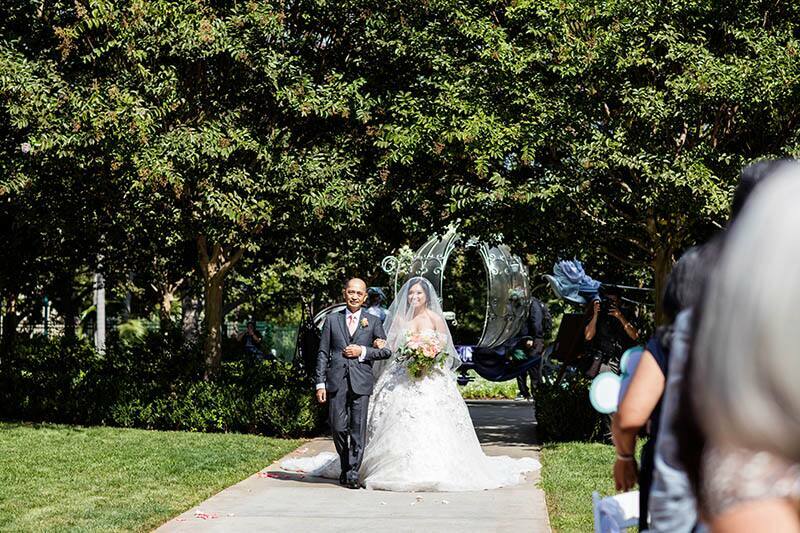 Following the couples "I do's", they exited through a cloud of bubbles and took a few photos with Major Domo before heading off to their reception. 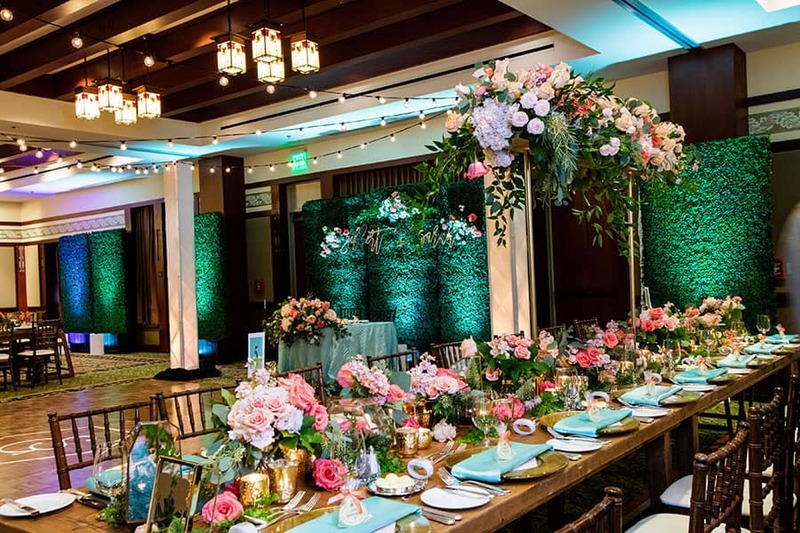 The Trillium Room at Disney's Grand Californian Hotel & Spa was transformed from a ballroom into a space that brought the outdoors in. 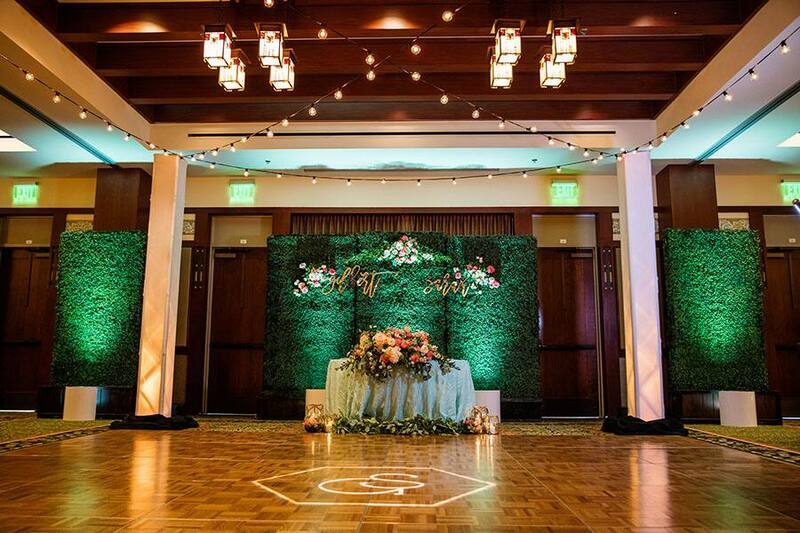 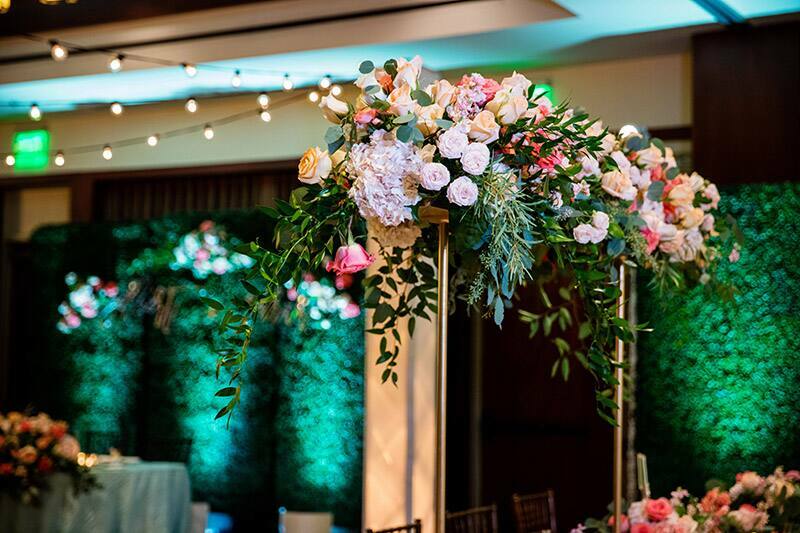 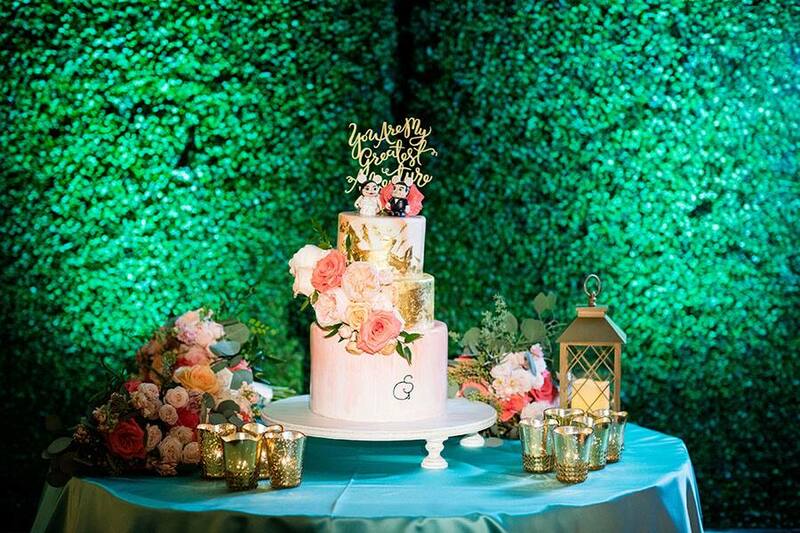 From bistro lights and hedges to high topiaries and lanterns, the room became an indoor garden. 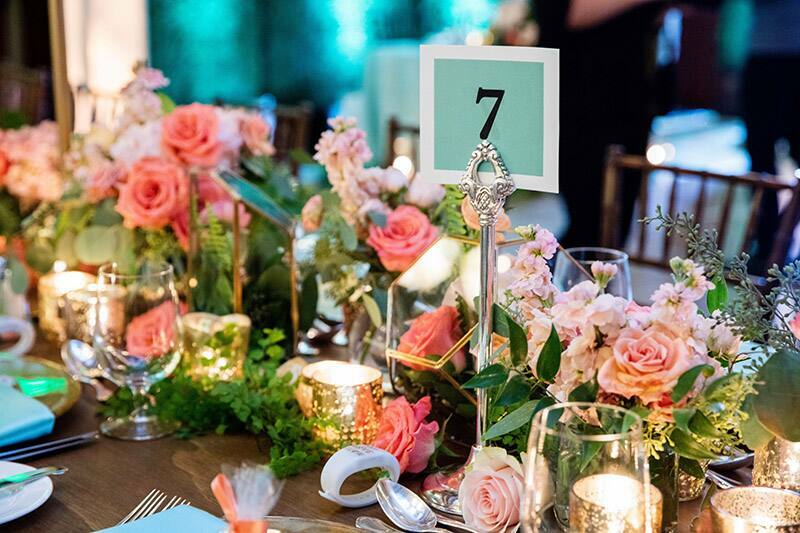 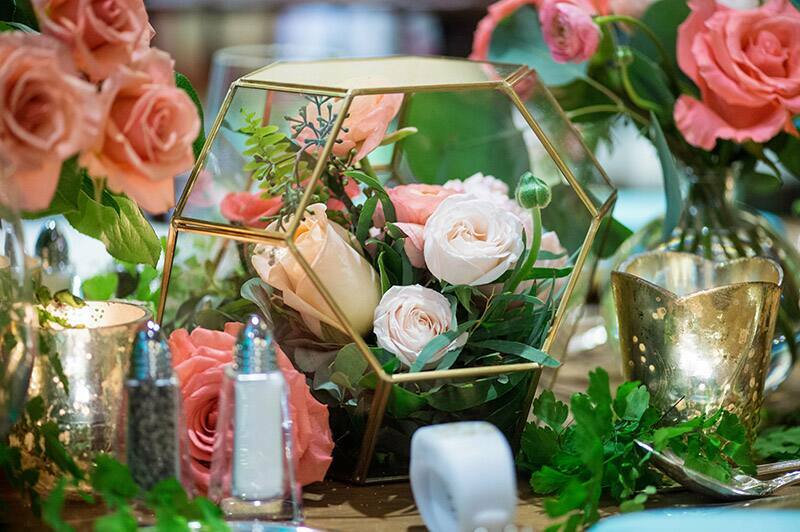 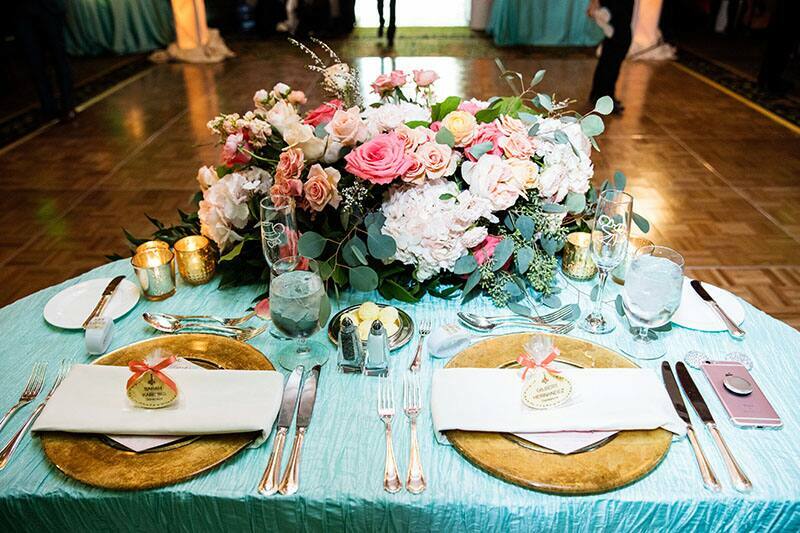 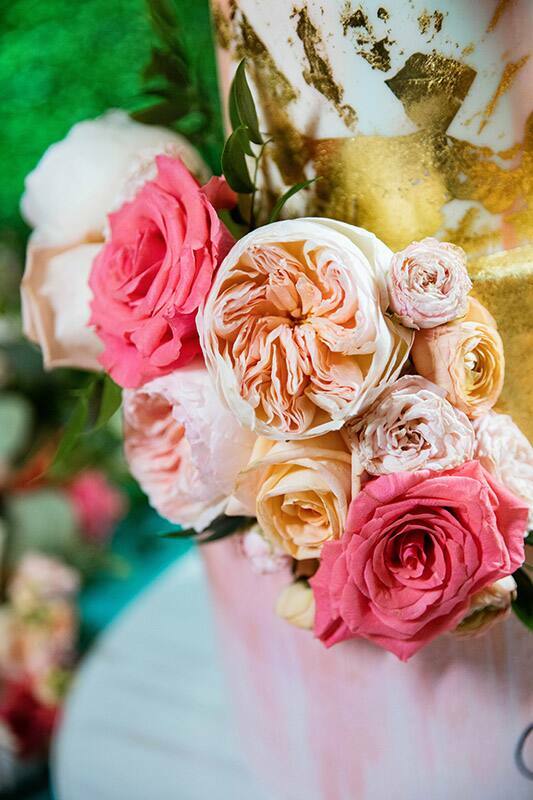 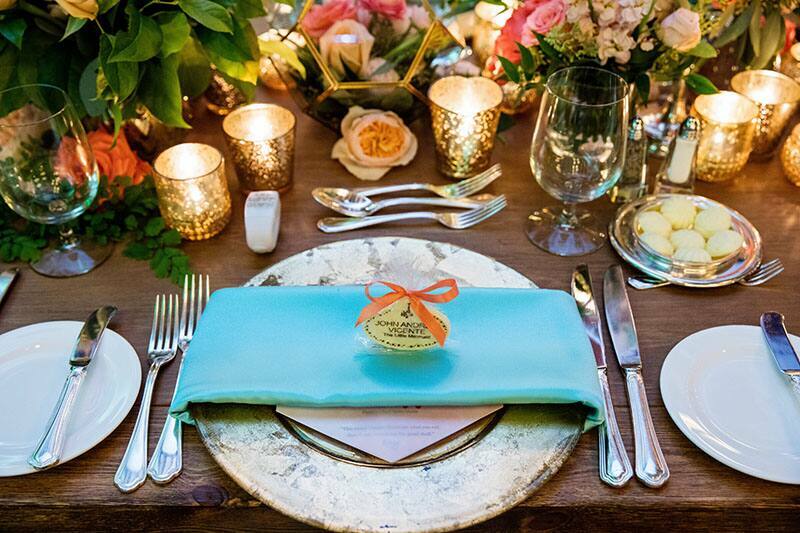 Gold accents mixed with fresh pink and peach floral tied the entire space together and brought a beautiful ambiance. 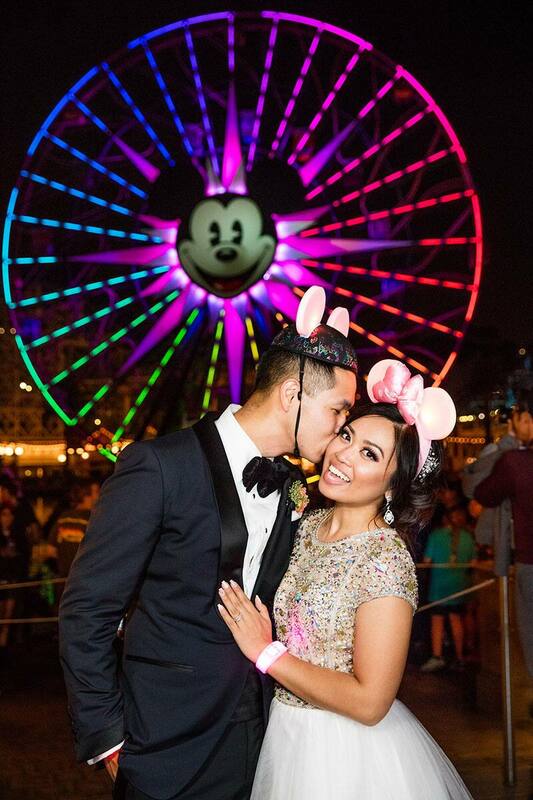 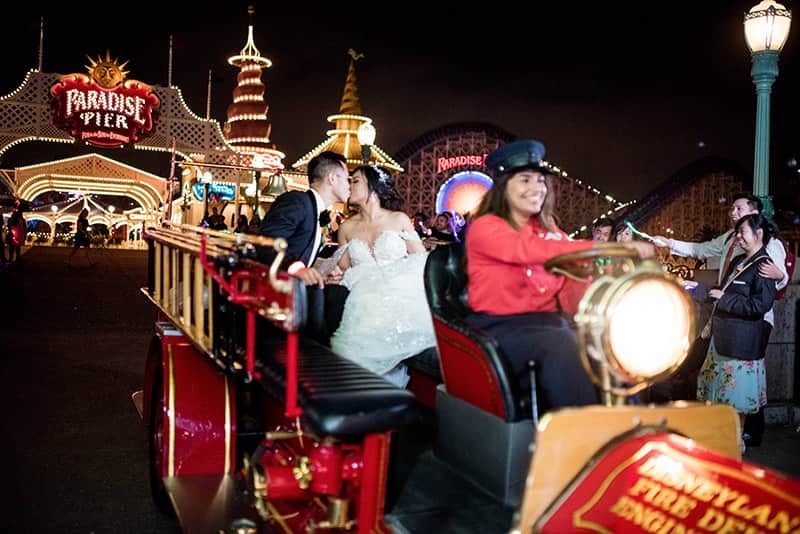 After sharing a romantic first dance and enjoying a delicious array of food from corn dog nuggets to churros, the couples and their guests made their way over to Disney California Adventure Park for a few surprises. 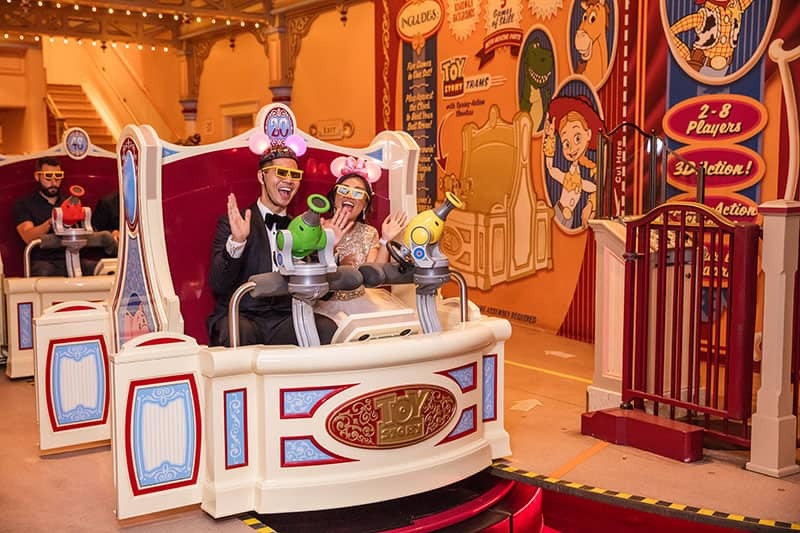 They traveled to the World of Color viewing area for the show, and if that wasn't enough, everyone was treated to a ride on Toy Story Mania! 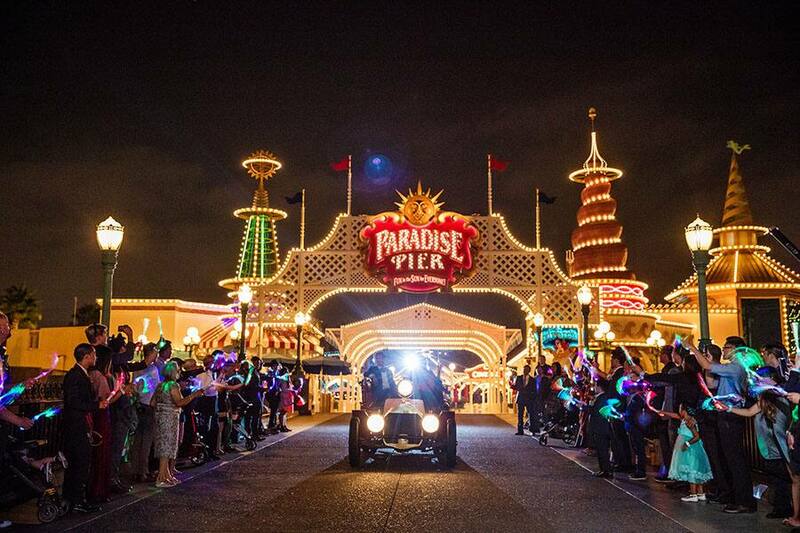 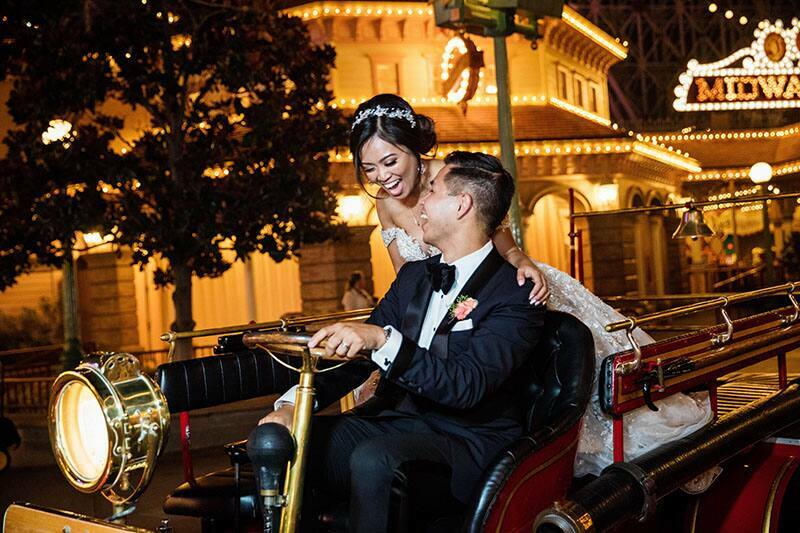 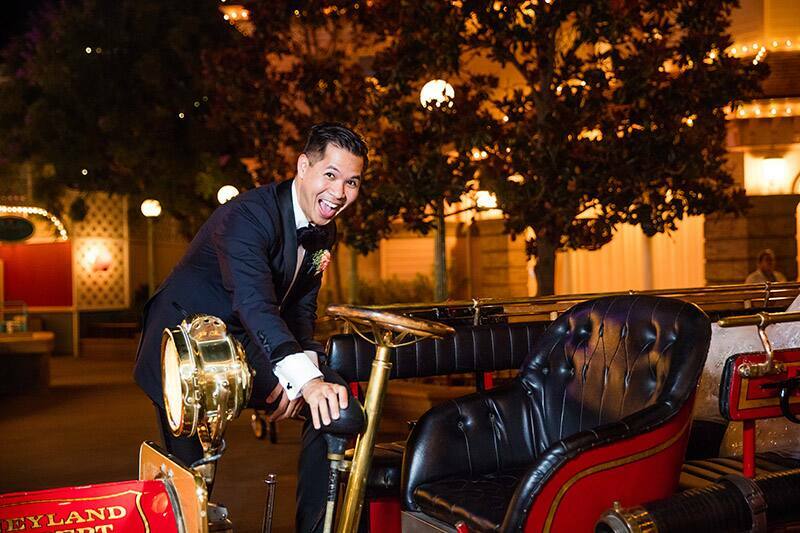 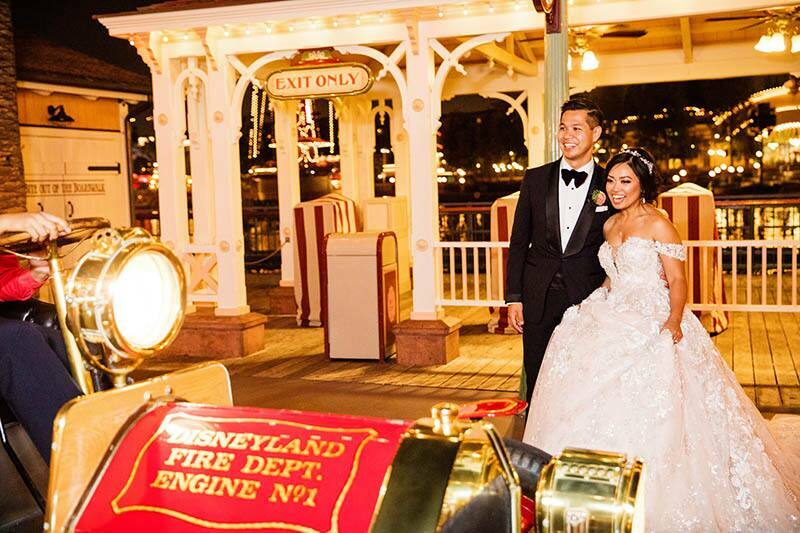 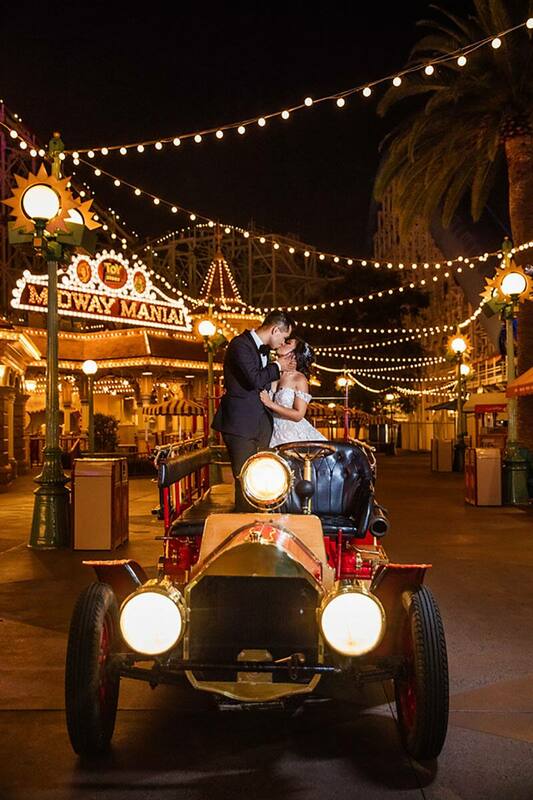 To end the night, the pair made a grand exit in the Main Street Fire Engine through Paradise Pier, as their guests cheered them along and "waved well wishes to the new Mr. and Mrs." This Disneyland wedding is one for the books!